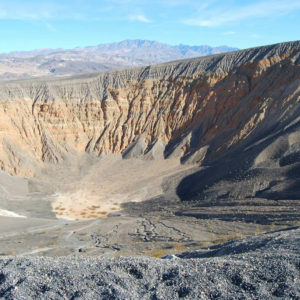 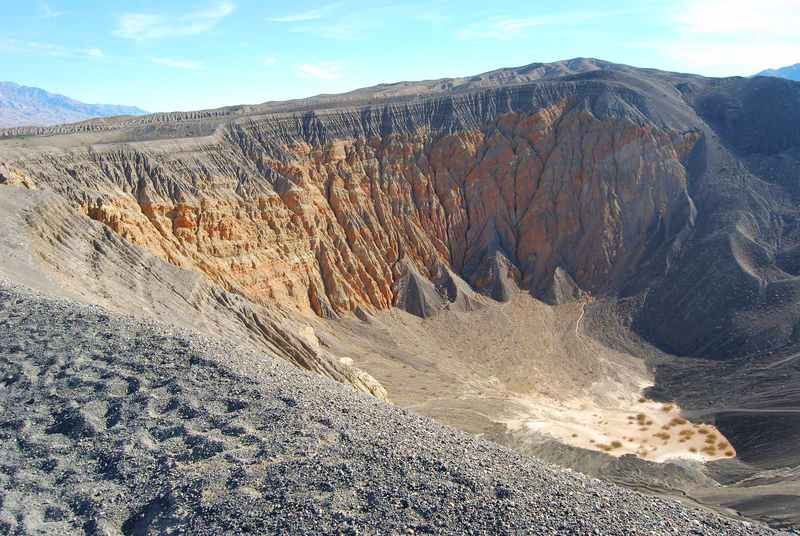 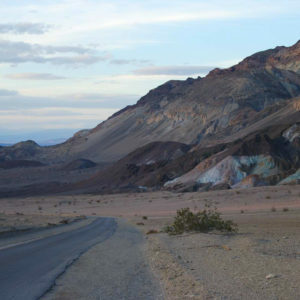 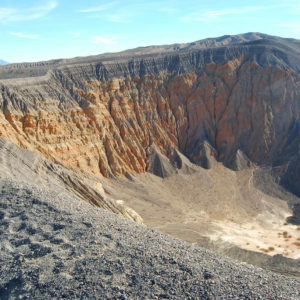 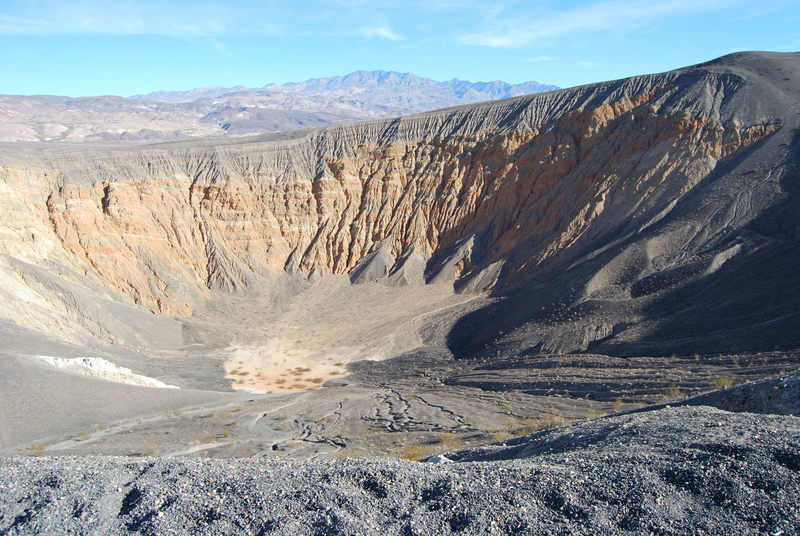 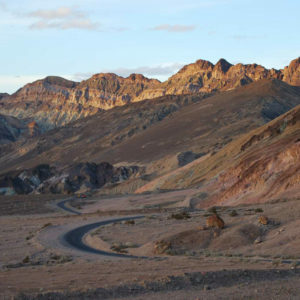 Make your way through Death Valley National Park from as far as Ubehebe Crater to the Amargosa Opera House and you will strike gold. 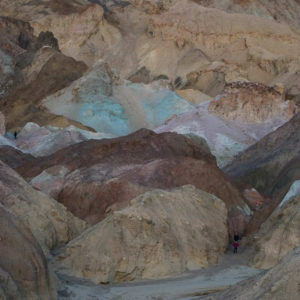 There’s so much natural beauty to see in this desert. 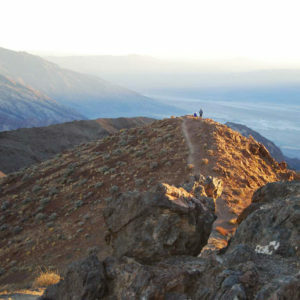 When you are here, you will wish for more time in the day between sunrise and sunset. 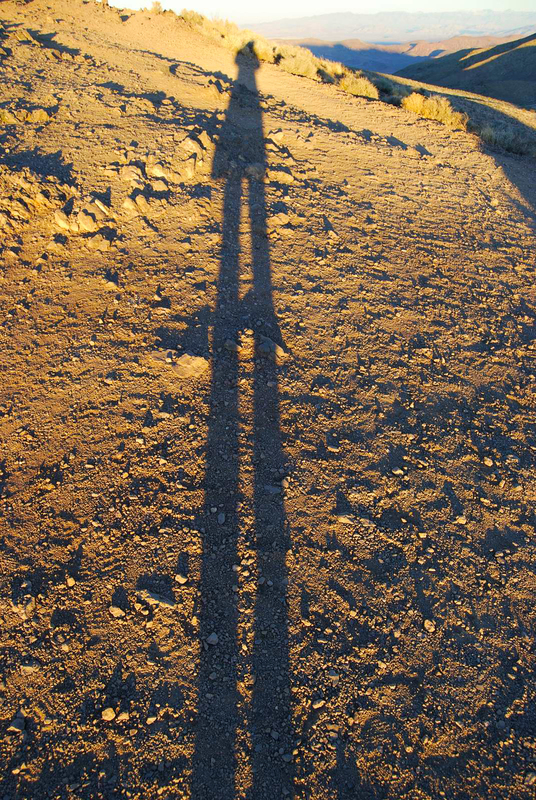 Factor in the time it will take to get from place to place. 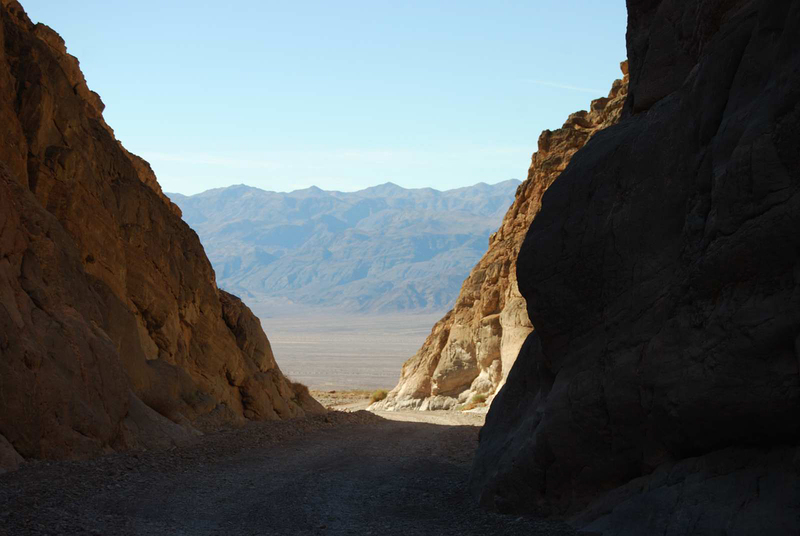 Take a jeep if you can as you will be very glad you did. 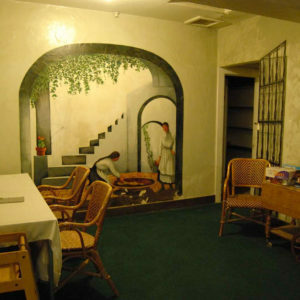 This will allow you access through certain areas. 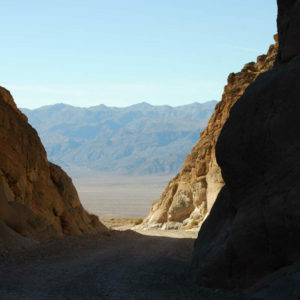 You will be able to easily drive through narrow, rocky, two-way paths leading up to the trailhead, such as Titus Canyon. 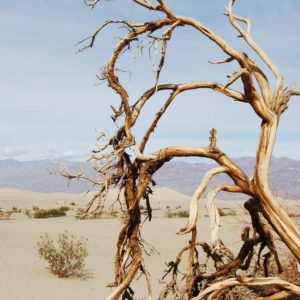 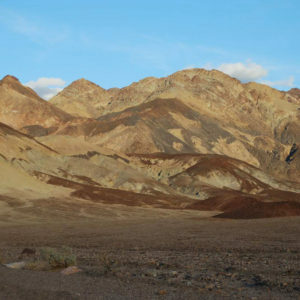 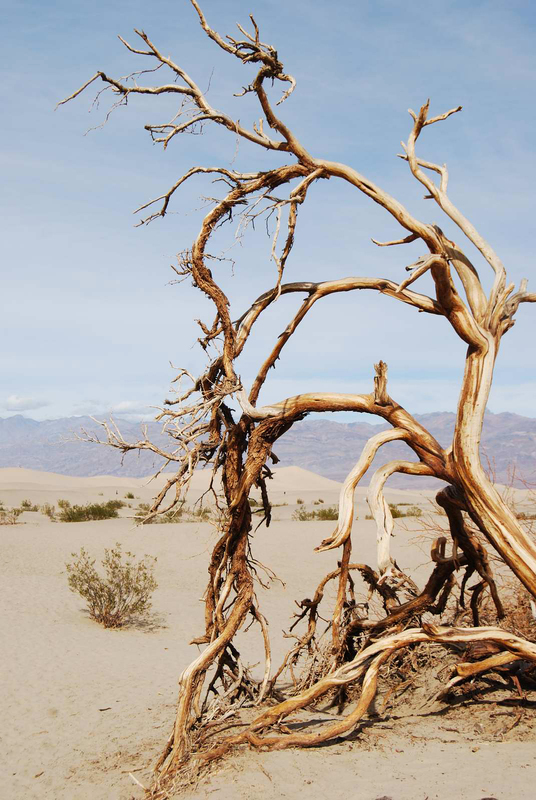 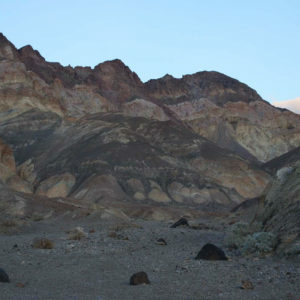 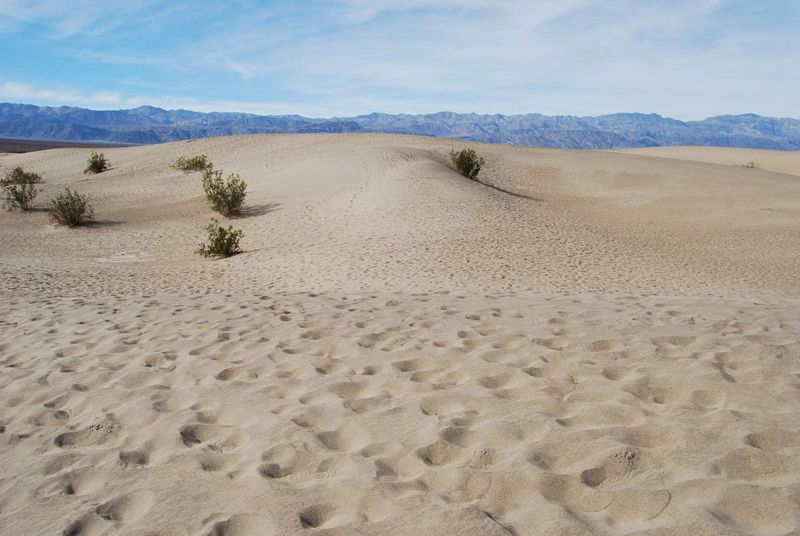 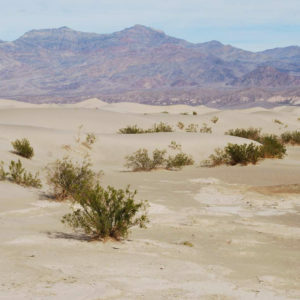 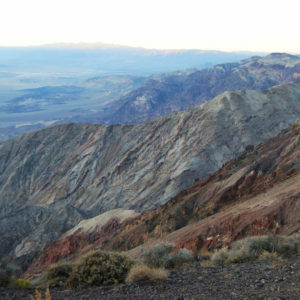 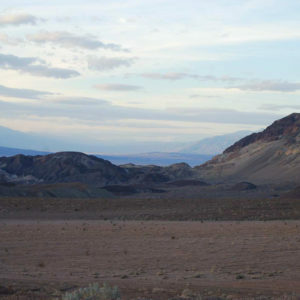 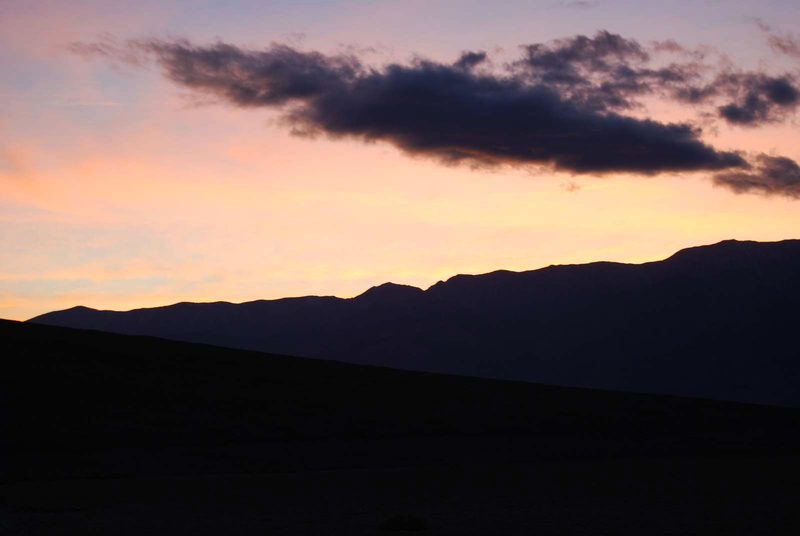 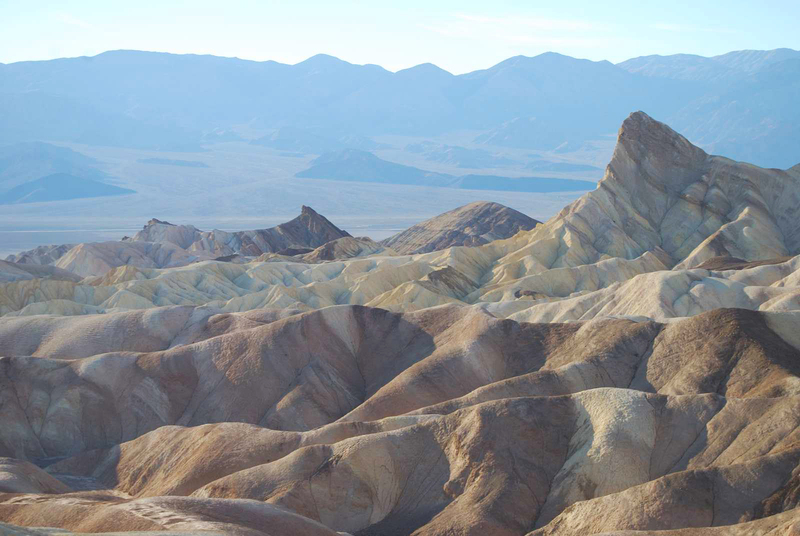 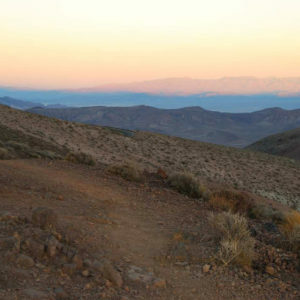 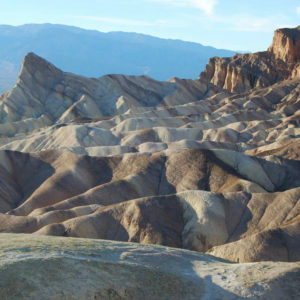 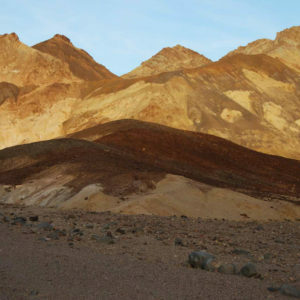 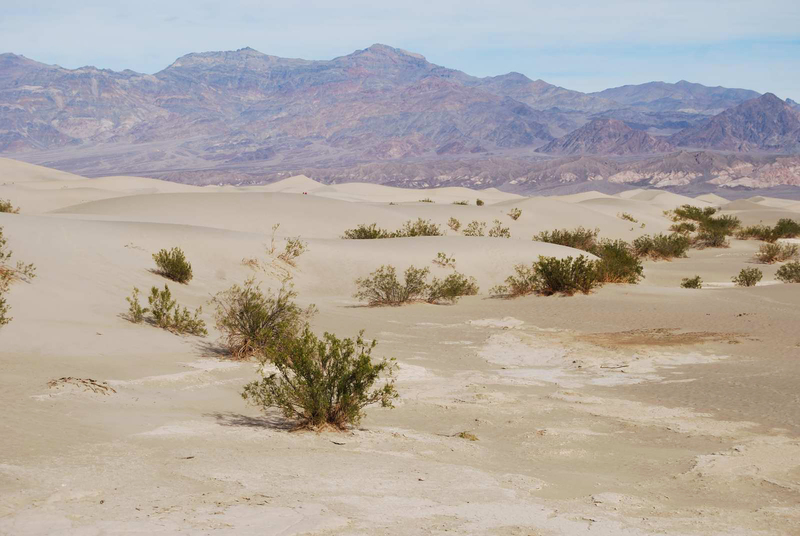 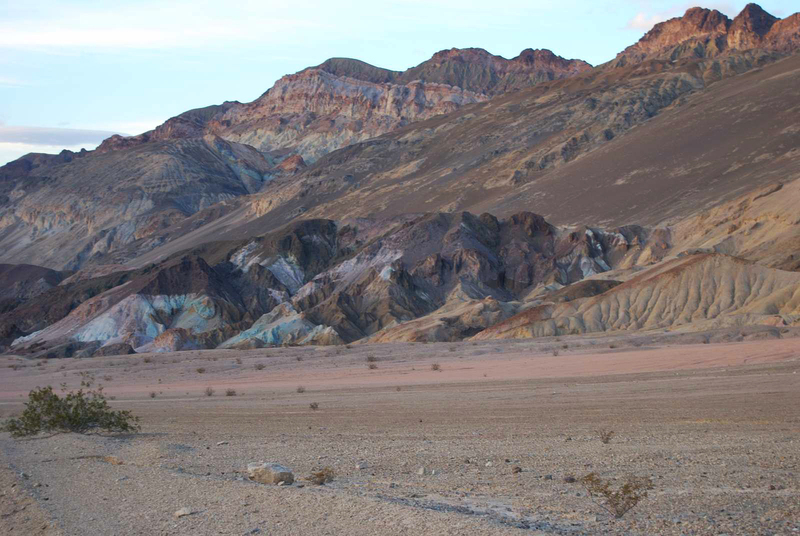 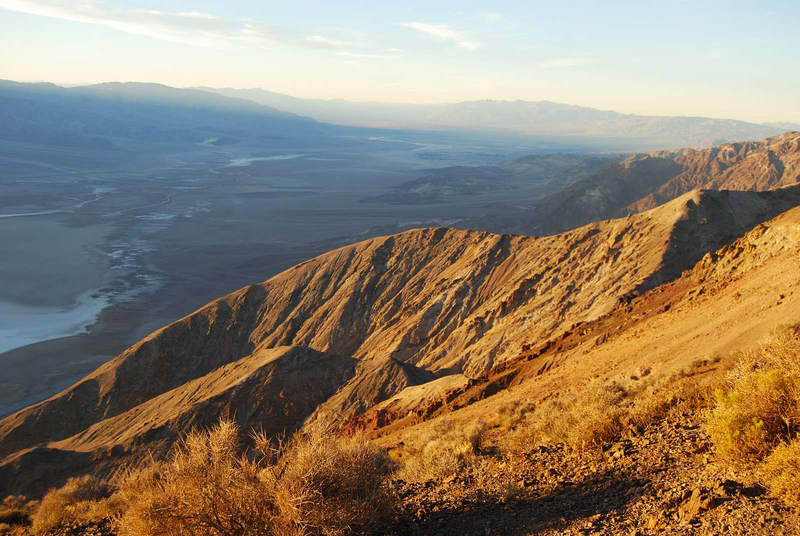 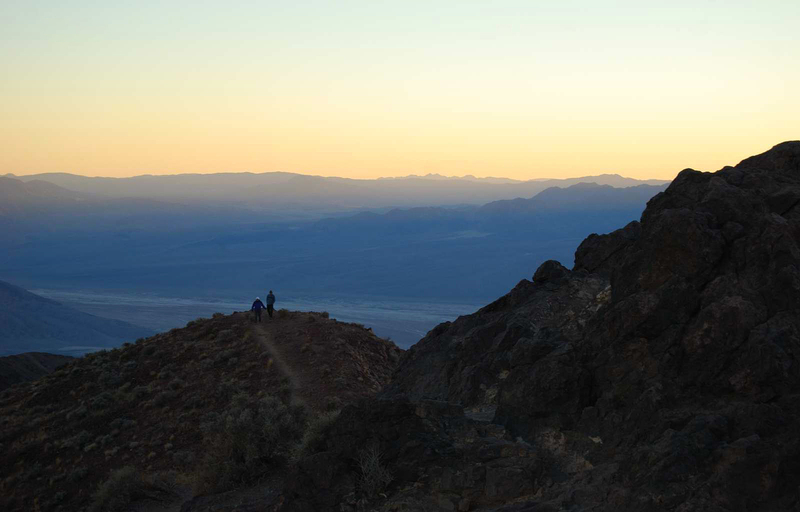 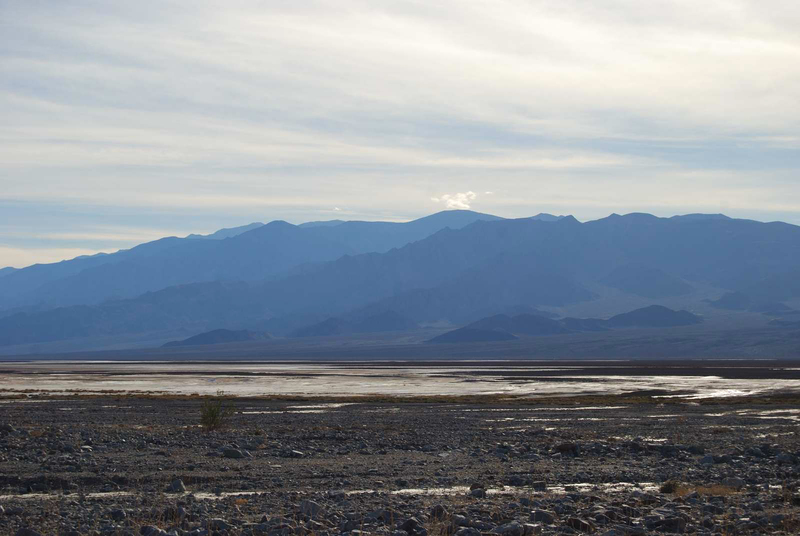 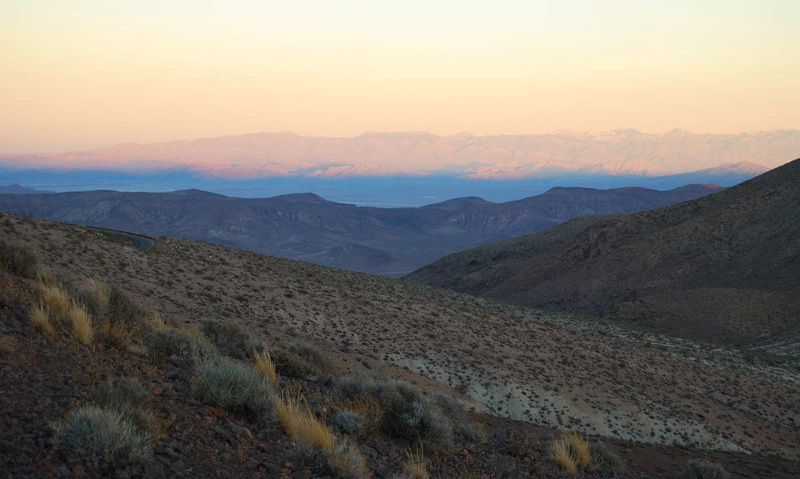 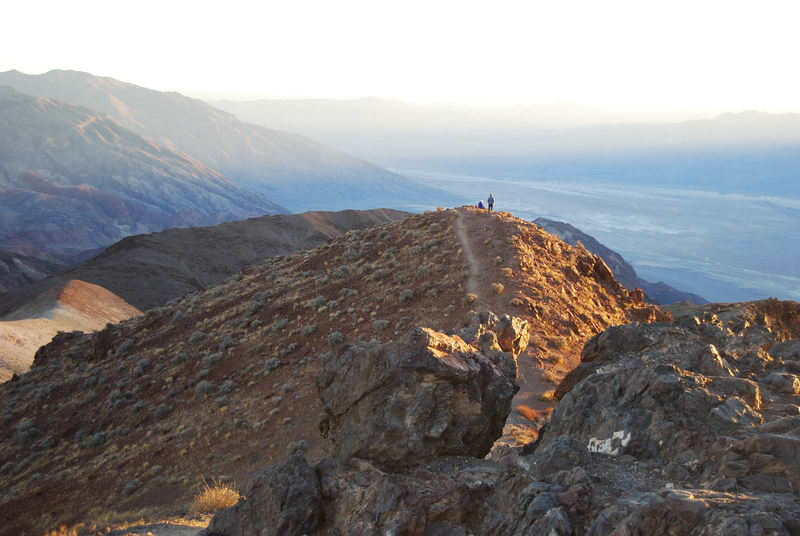 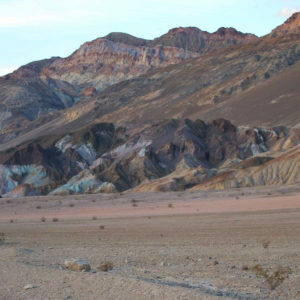 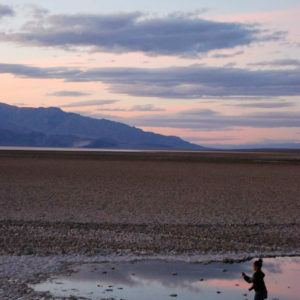 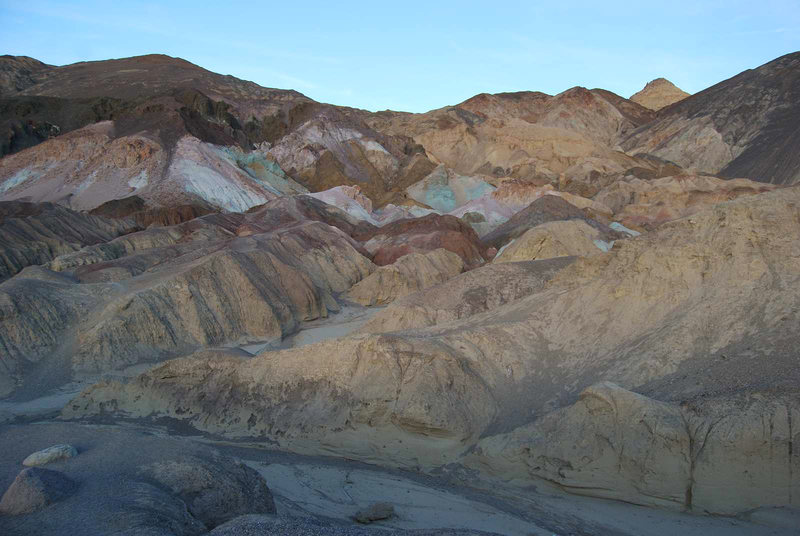 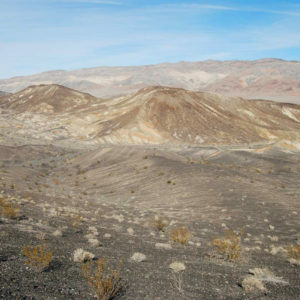 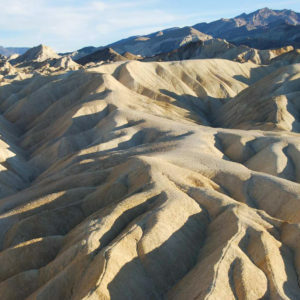 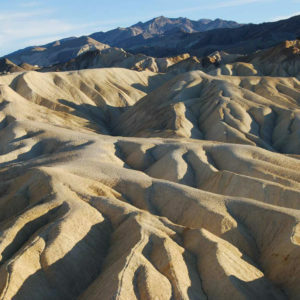 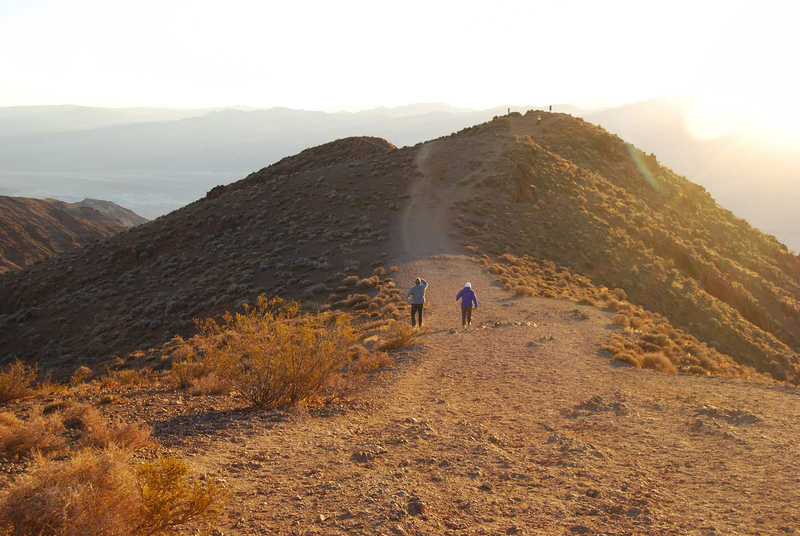 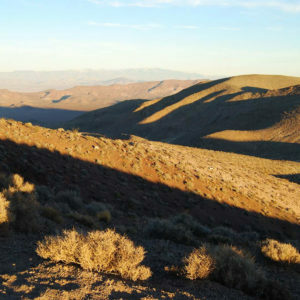 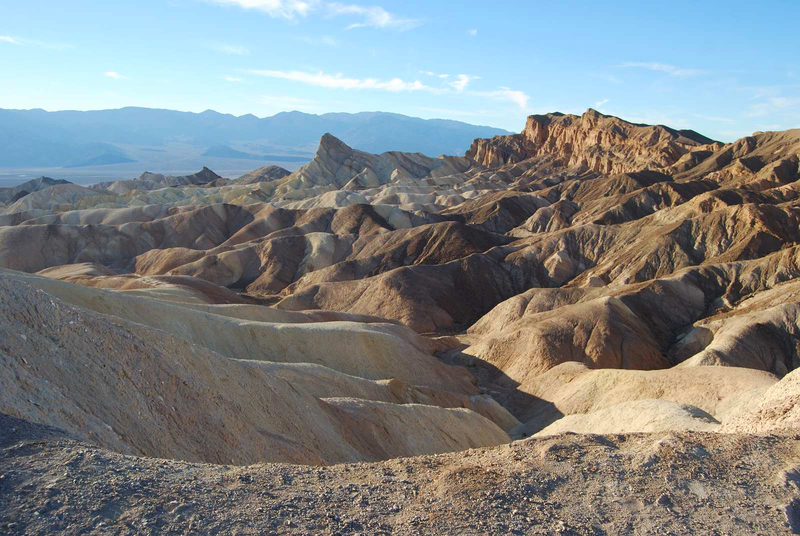 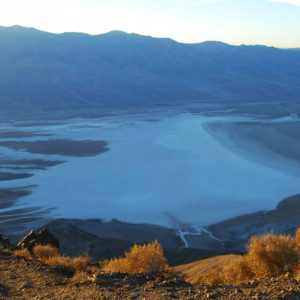 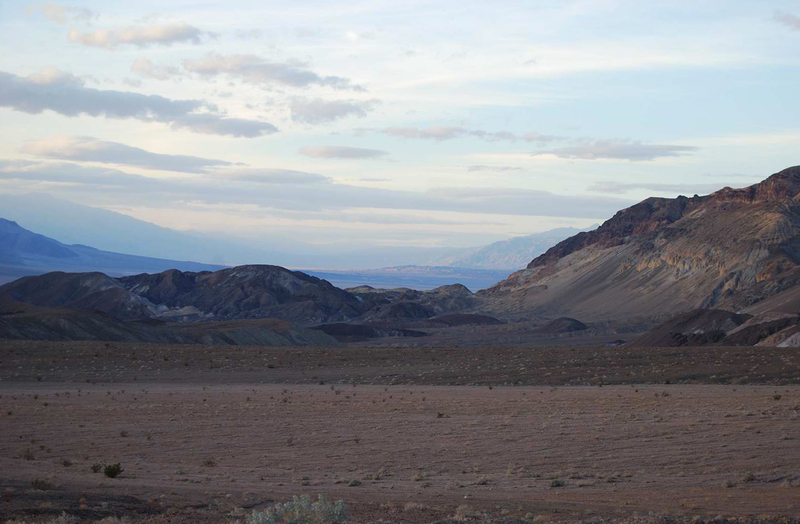 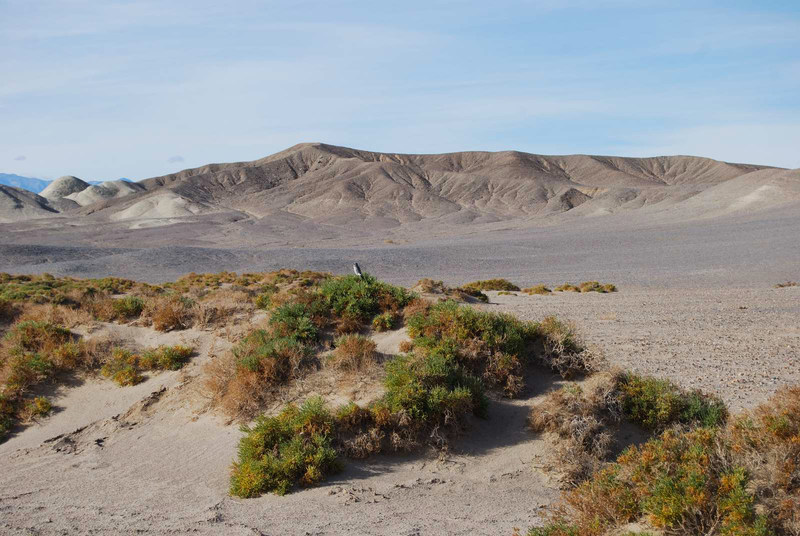 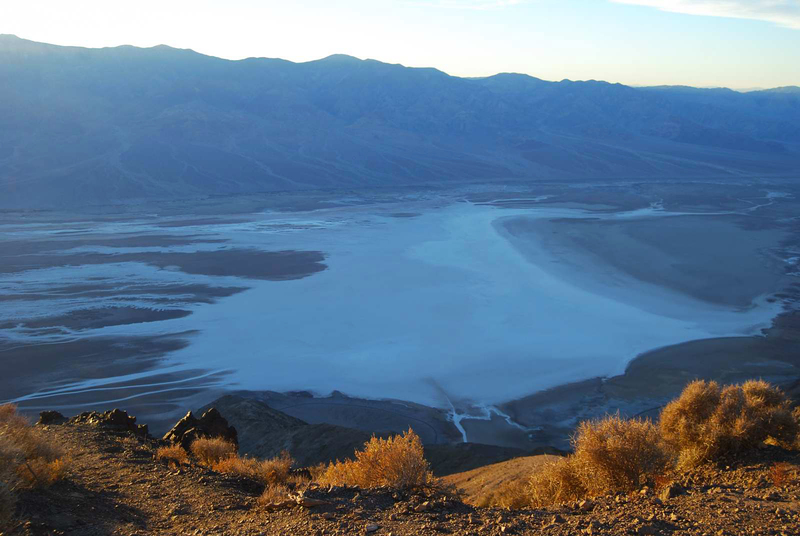 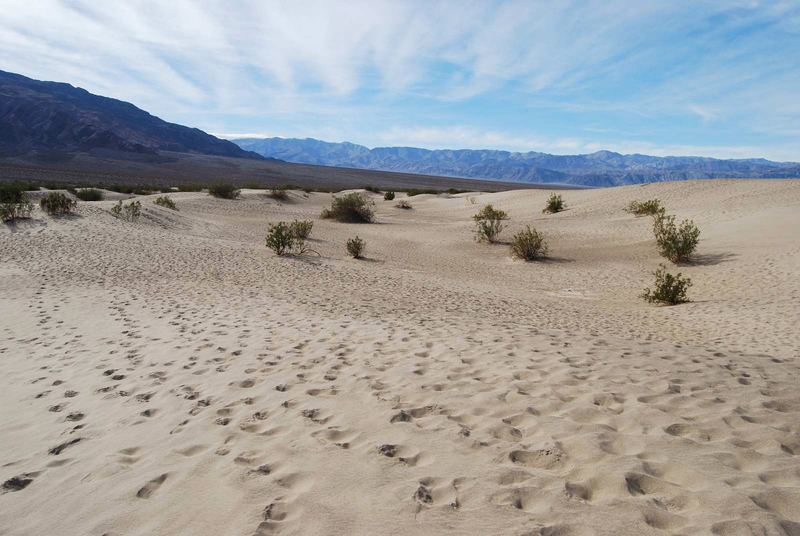 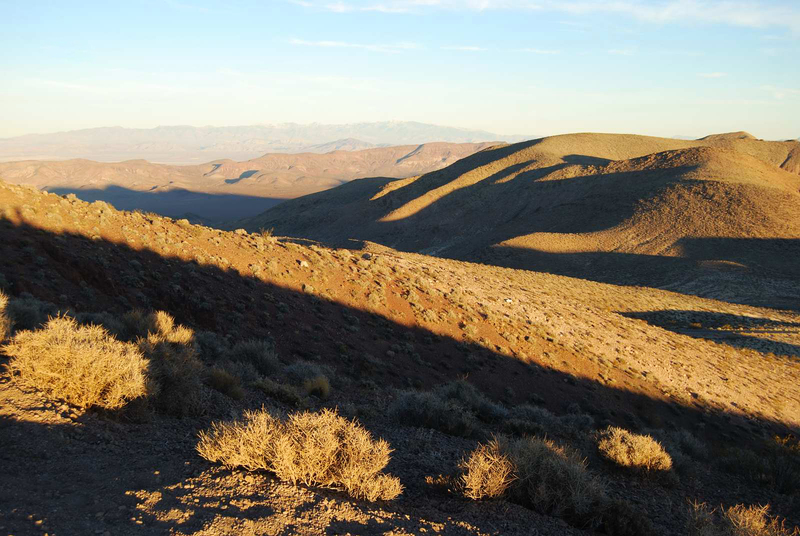 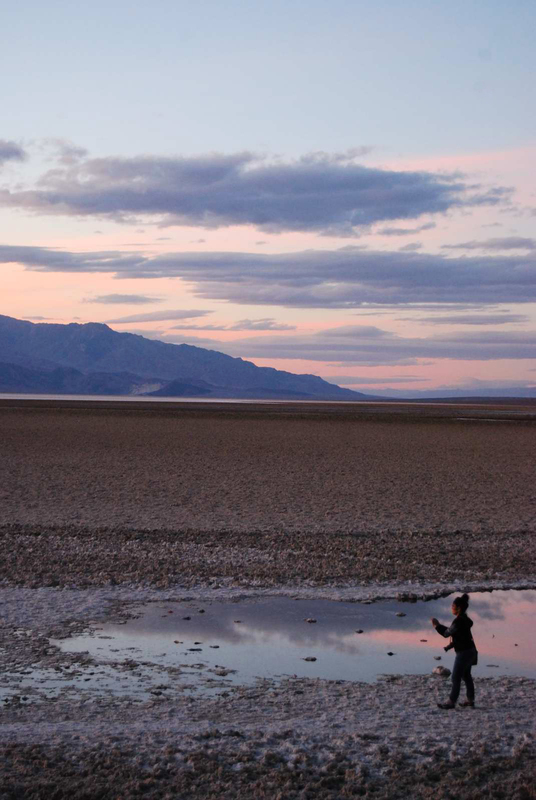 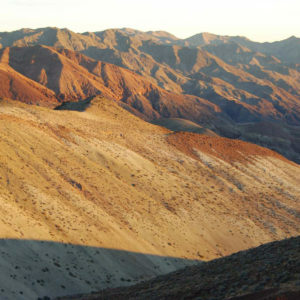 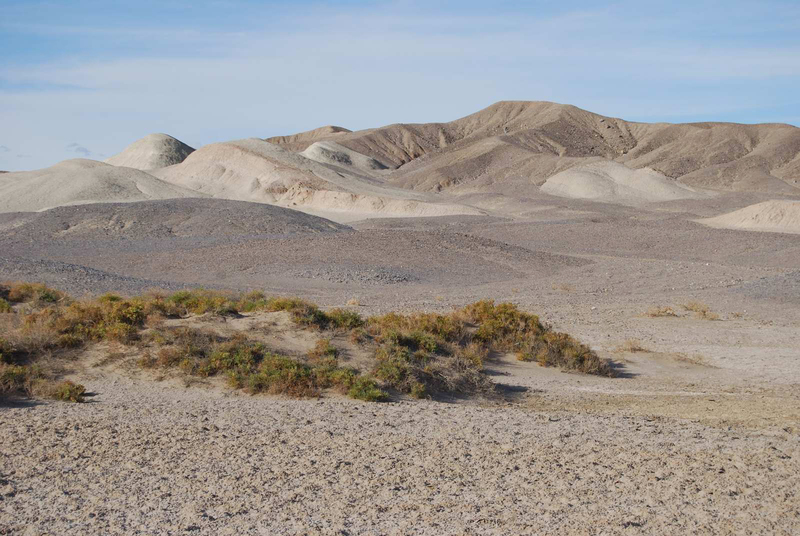 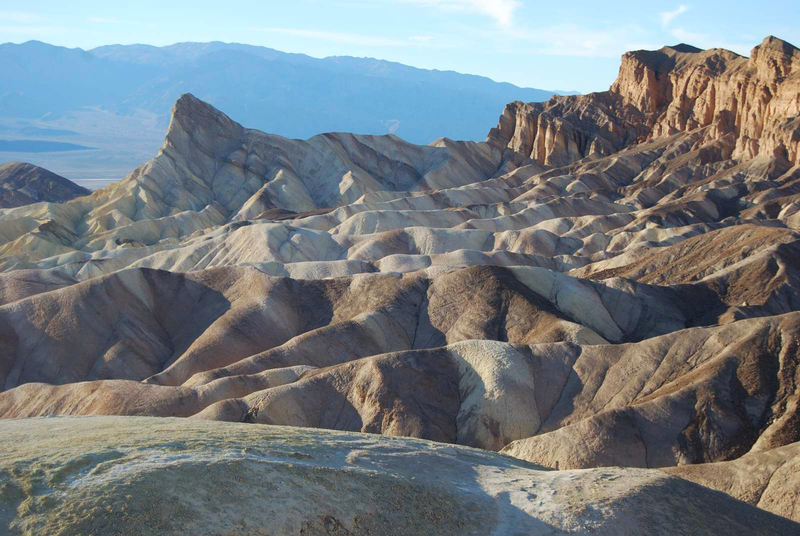 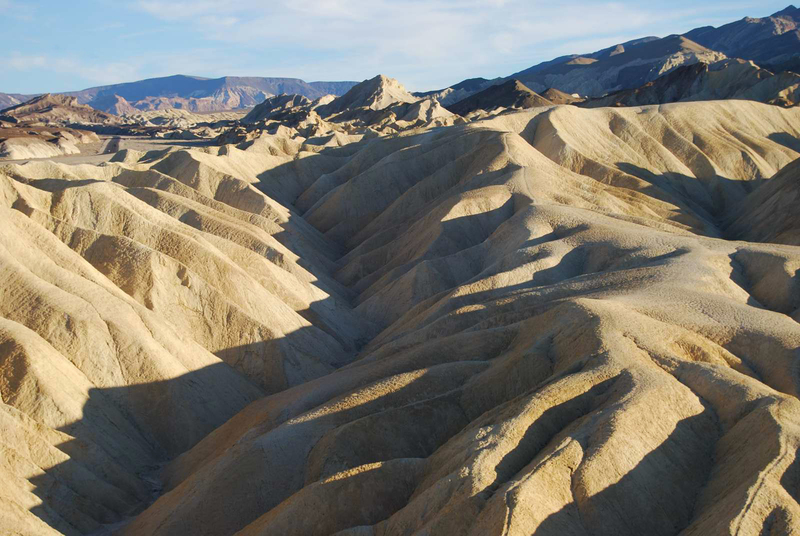 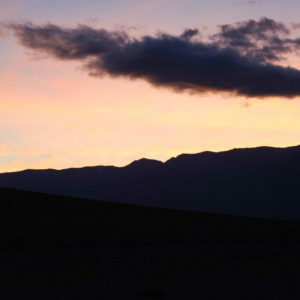 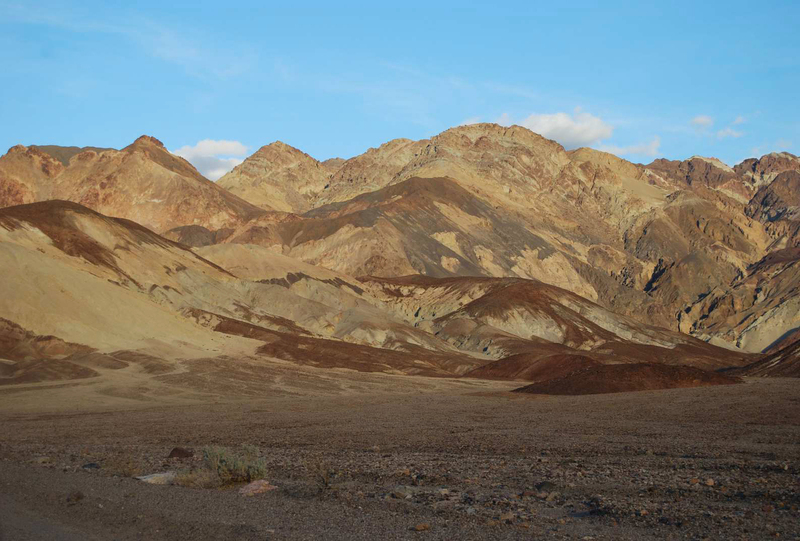 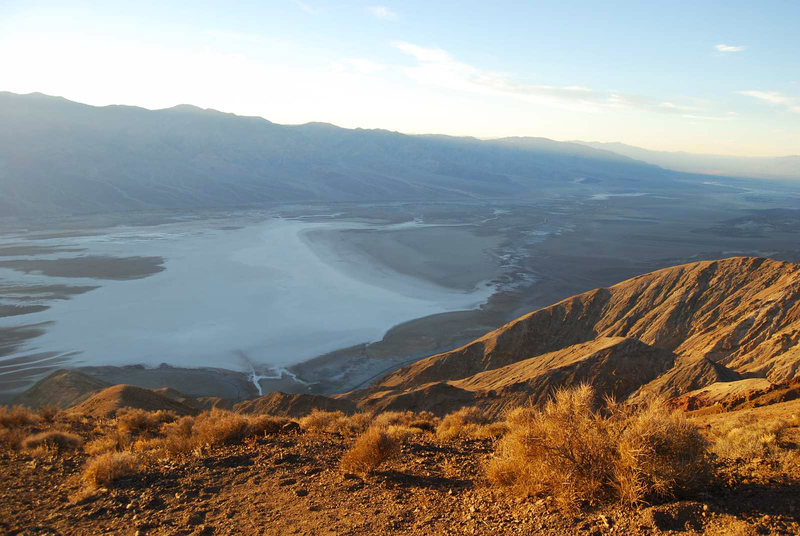 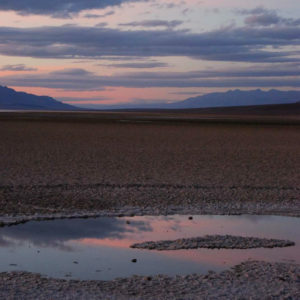 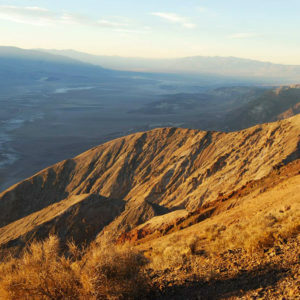 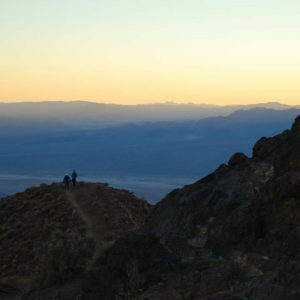 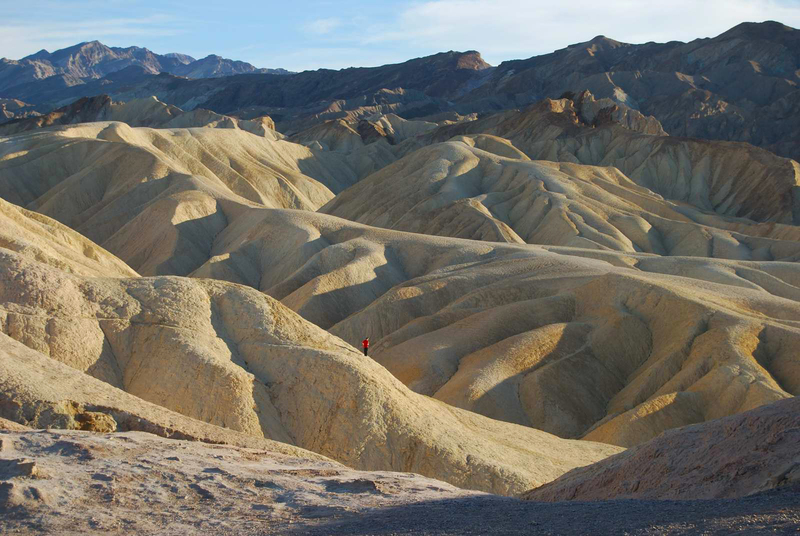 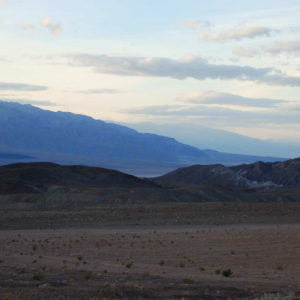 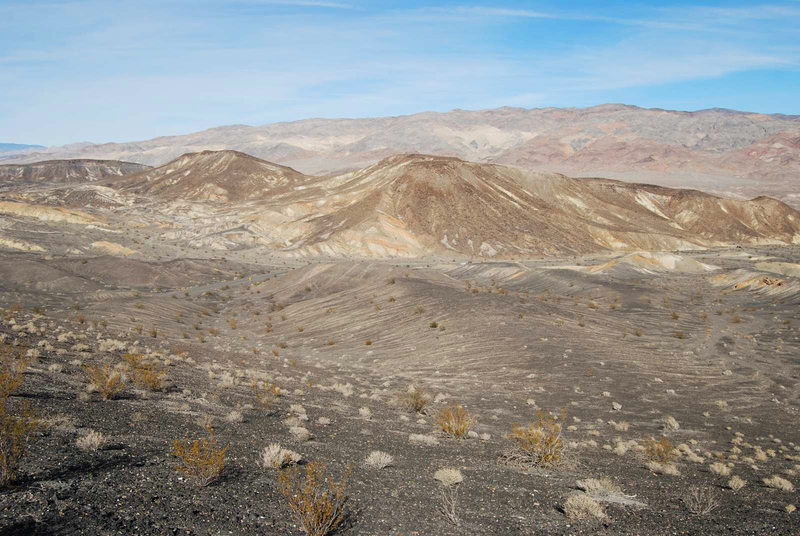 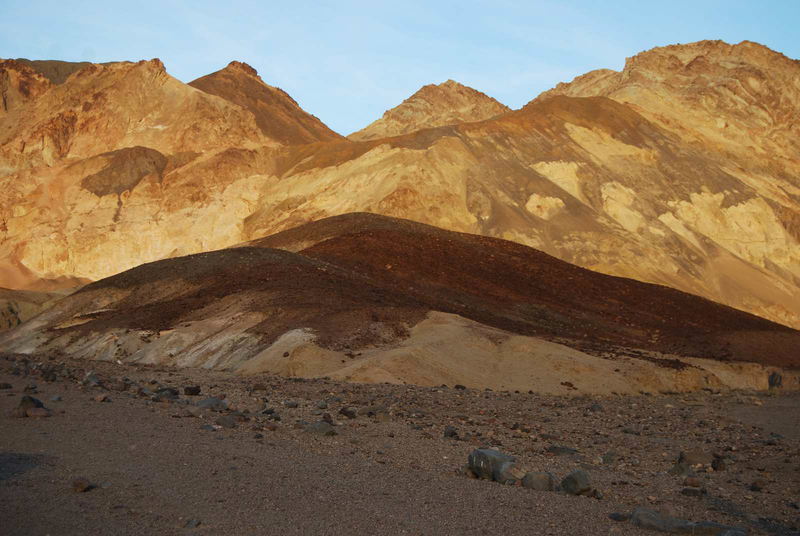 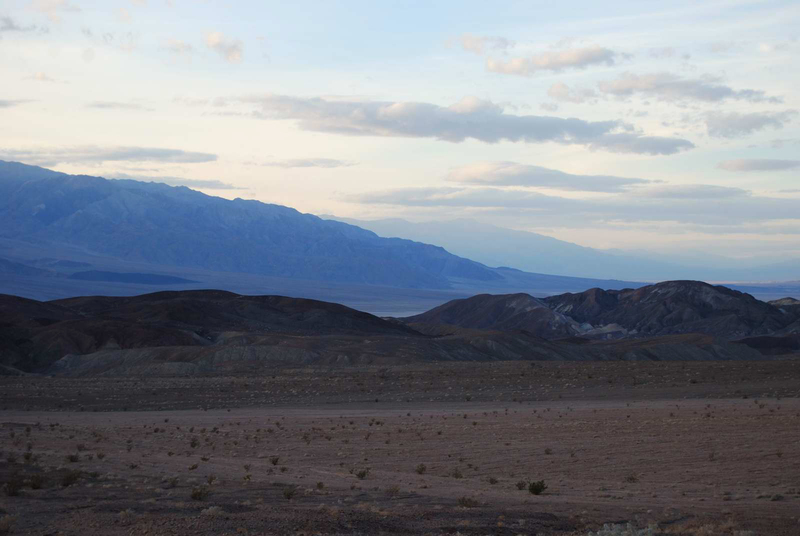 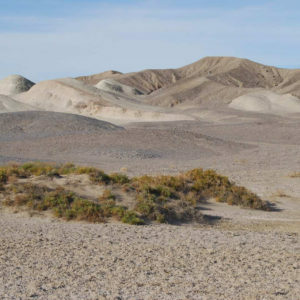 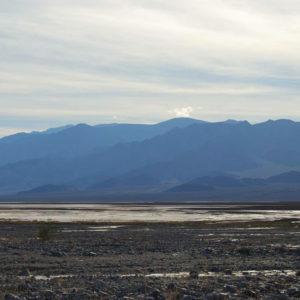 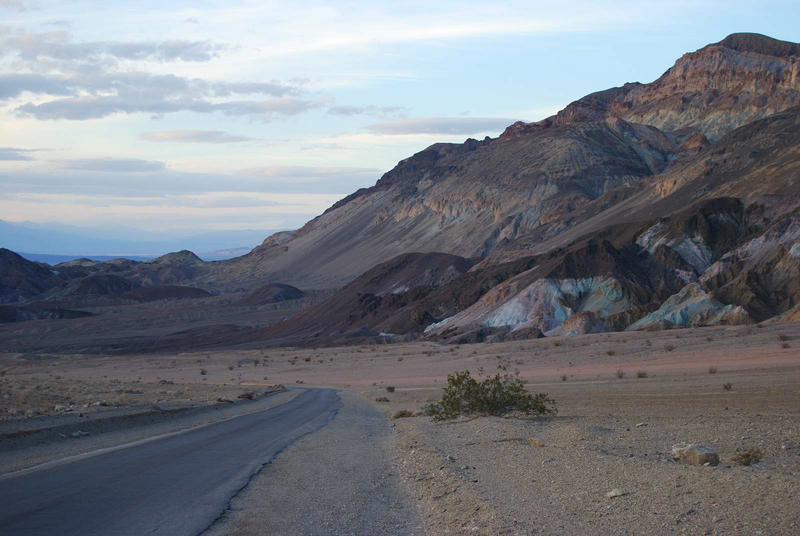 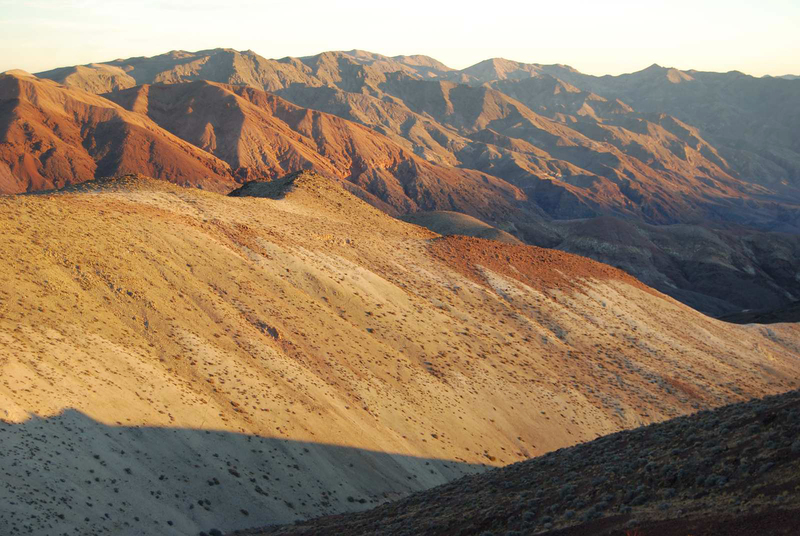 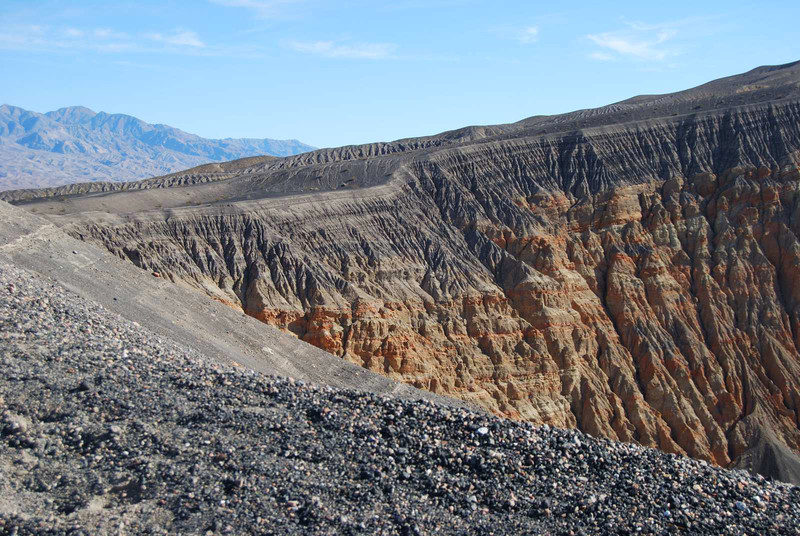 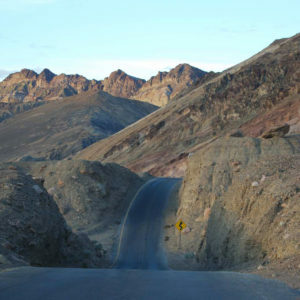 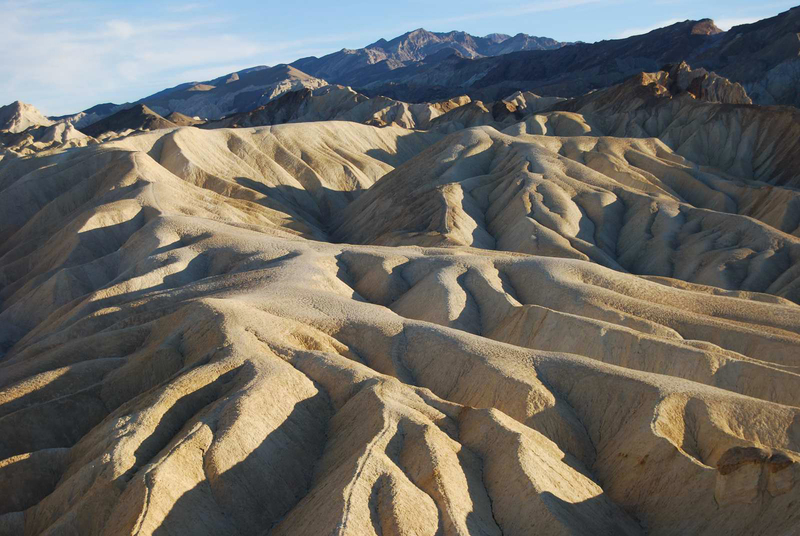 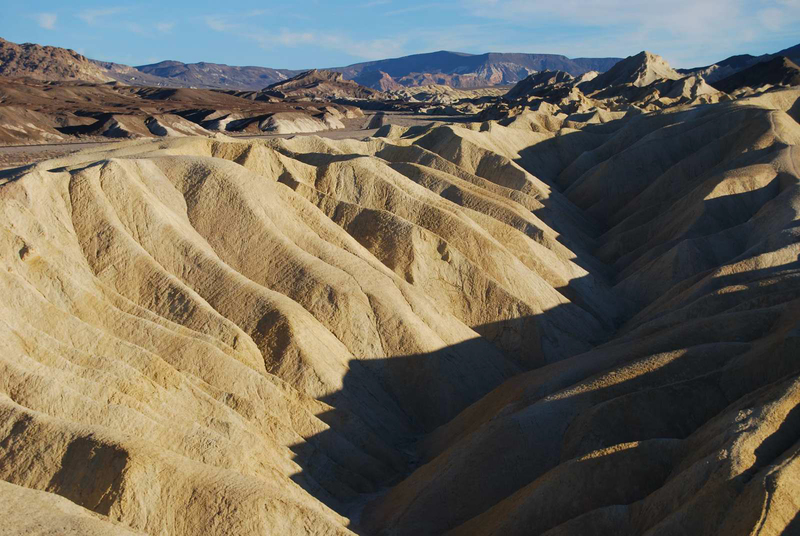 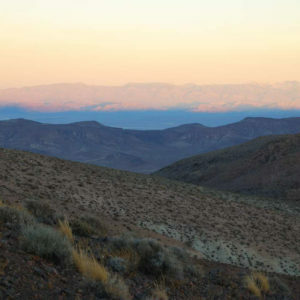 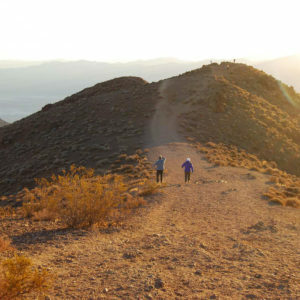 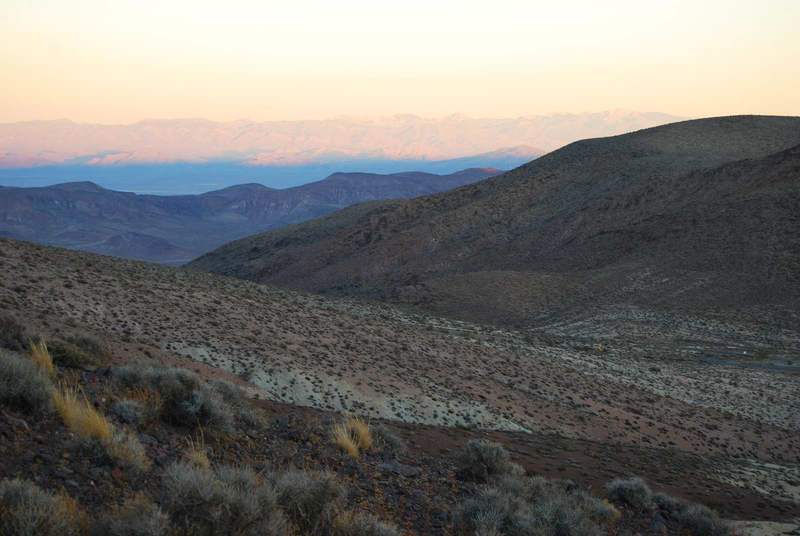 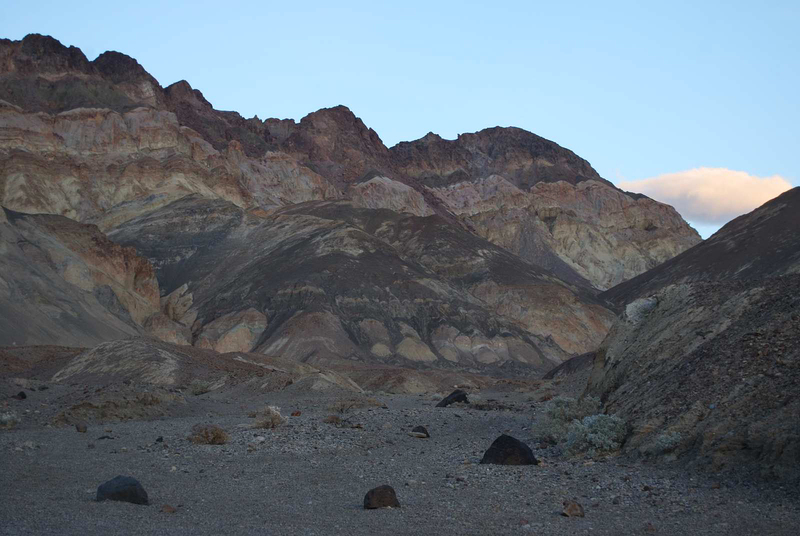 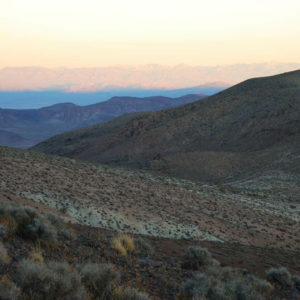 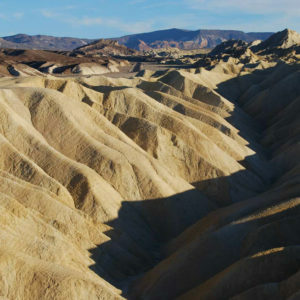 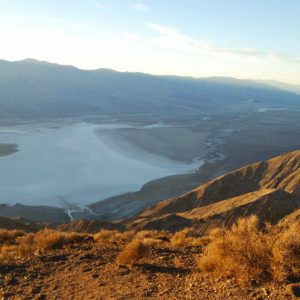 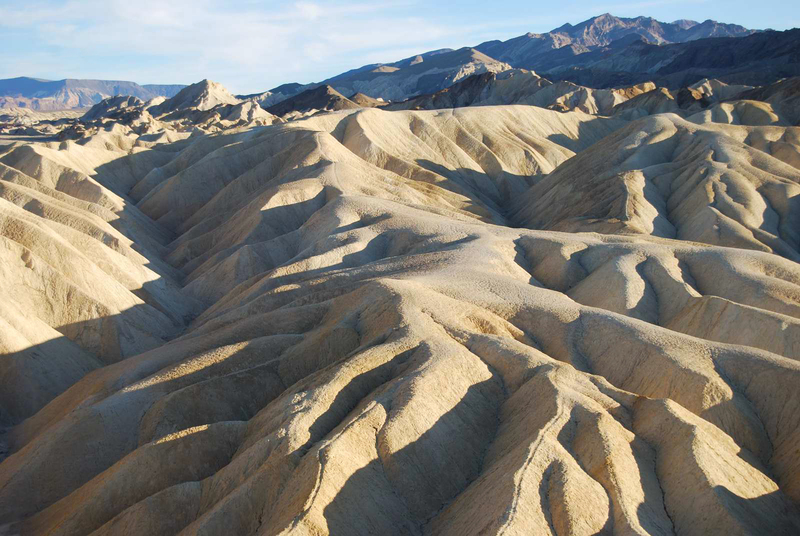 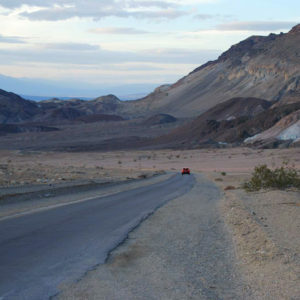 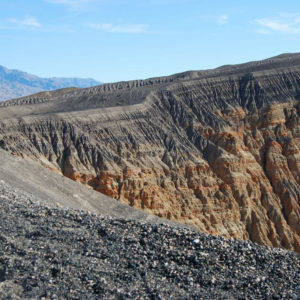 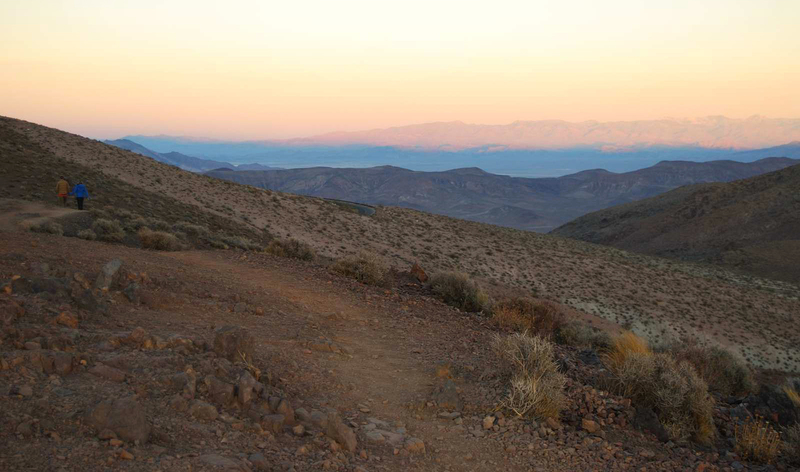 Depending on when you visit Death Valley, prepare for the diverse climate and bring plenty of water to drink. 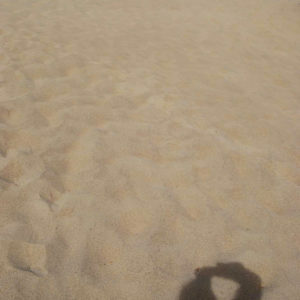 We went in November, so the days were warm and comfortable. 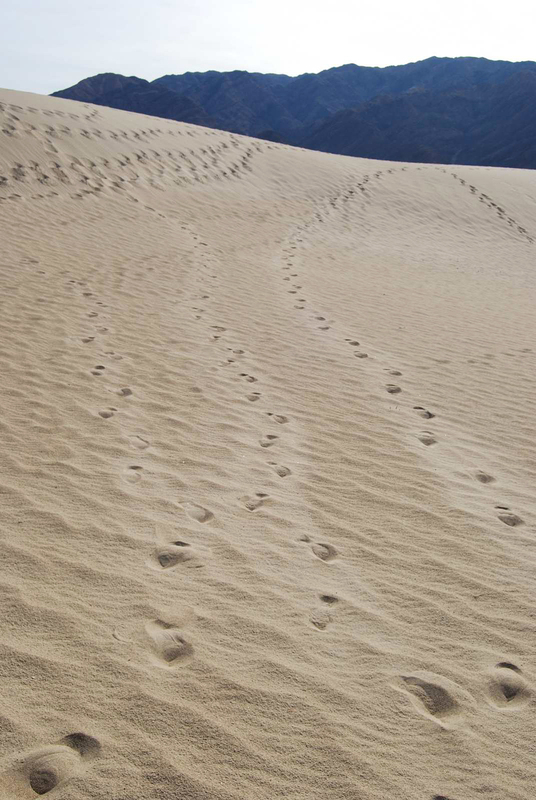 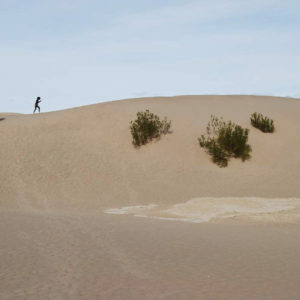 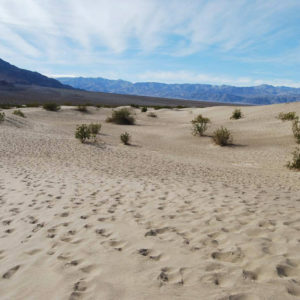 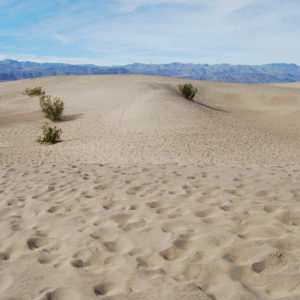 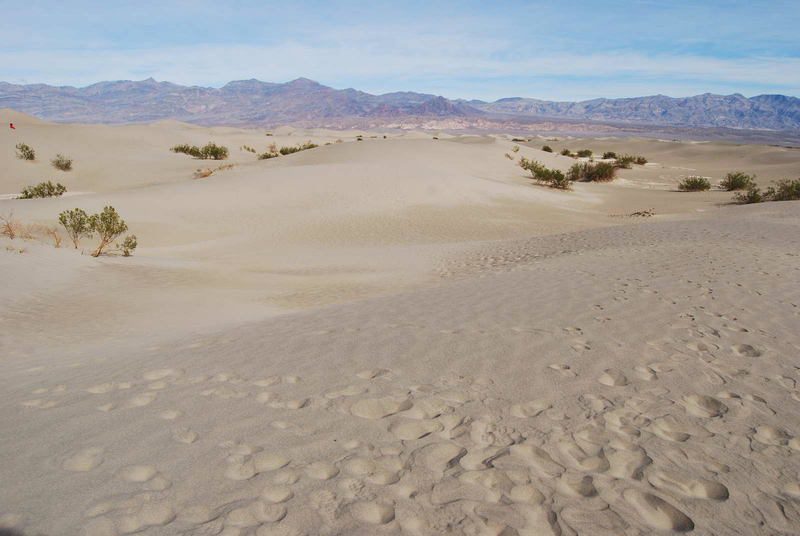 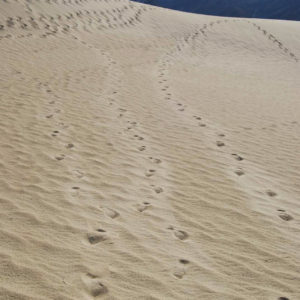 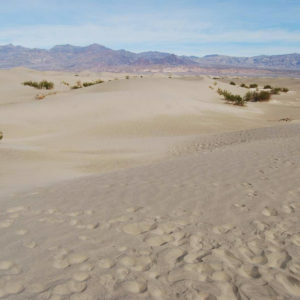 Although, if you go to the Mesquite Flat Sand Dunes on a sunny day where there is no shade, be careful of how far you go as it can be easy to be caught up in the moment in the mesmerizing beauty of the rippled sand. 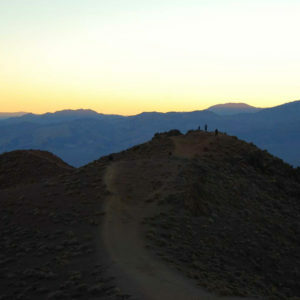 A light jacket or sweatshirt was sufficient for us, but the nights were much colder. 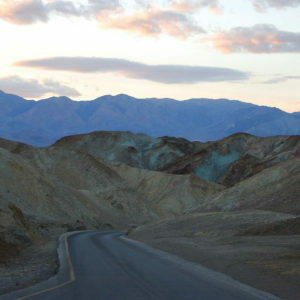 Definitely make time for stargazing especially as you distance yourself from the city lights and traffic. 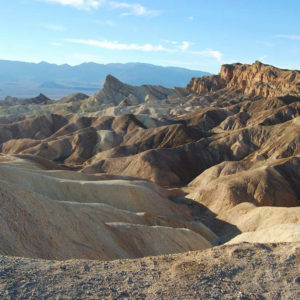 The shooting stars and constellations are stunning. 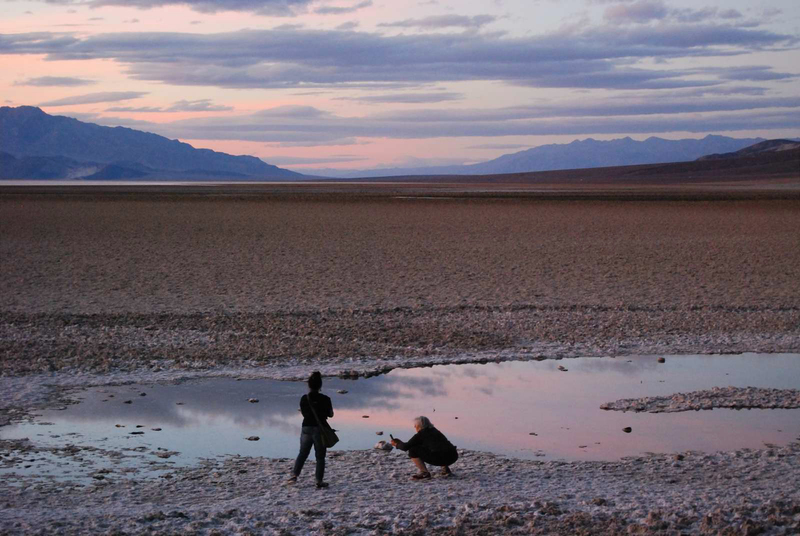 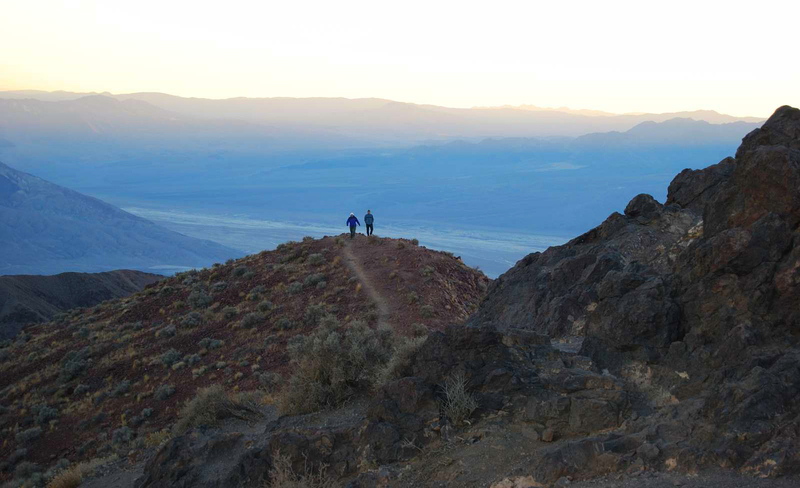 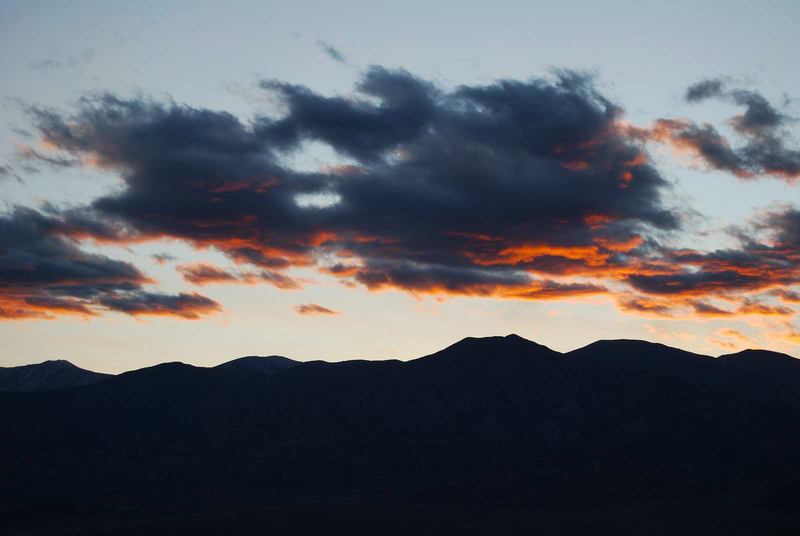 Don’t miss the amazing sunsets at Dante’s View, Artist’s Palette and Badwater Basin. 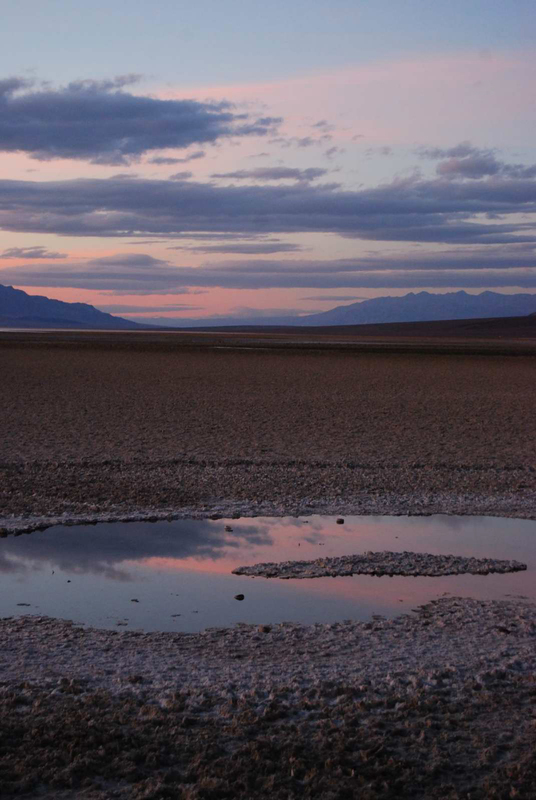 The latter especially offered us a beautiful water reflection of the sunset in its pools. 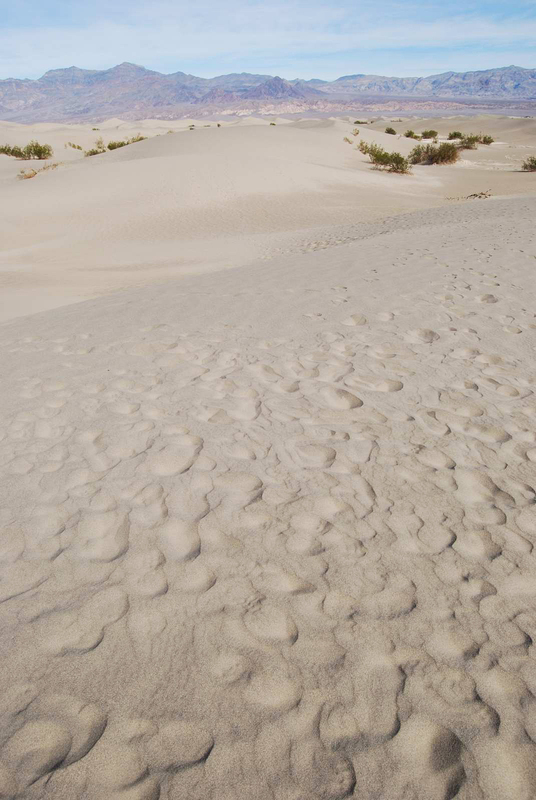 The sand here is as soft as powder and soothing to tread on barefoot. 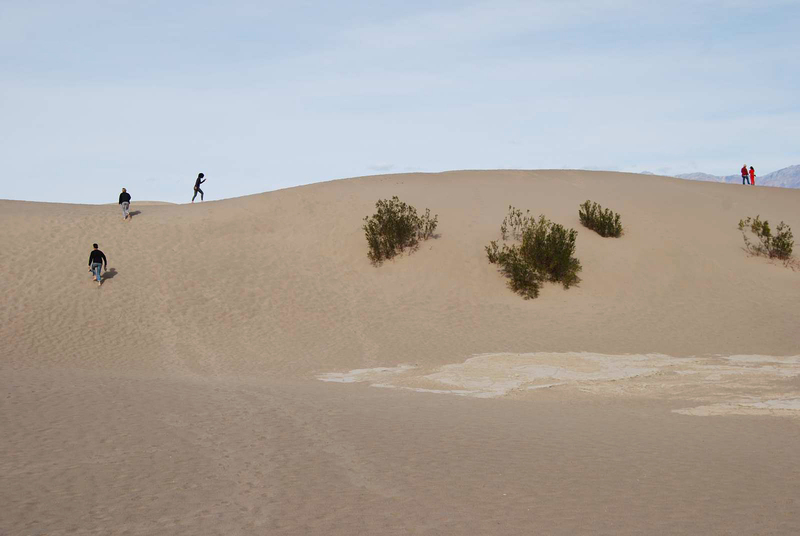 Run wild and free. 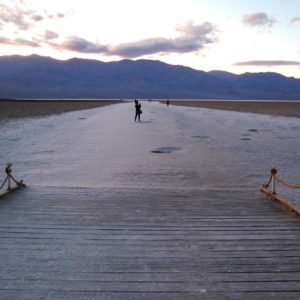 A scenic, interpretive, boardwalk trail. 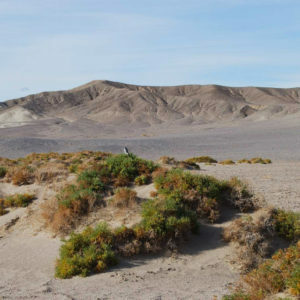 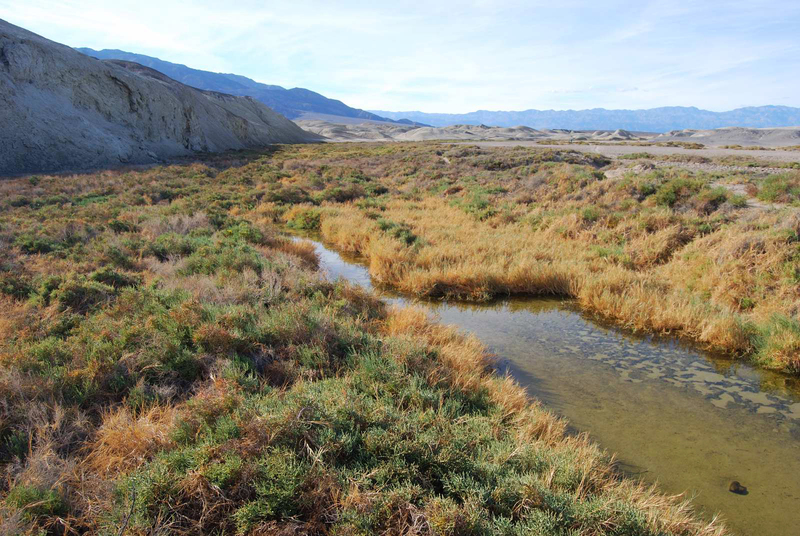 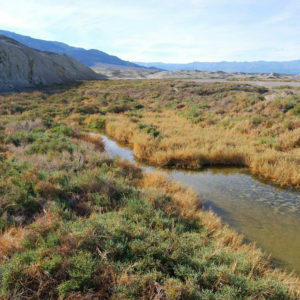 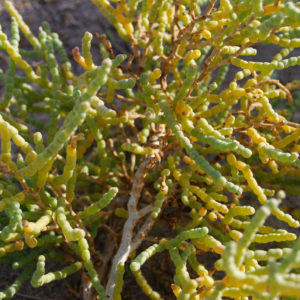 During your stroll, you will learn about the desert vegetation and life that dwells here, especially the unique adaptation of the endangered Salt Creek pupfish. 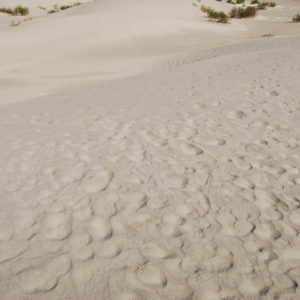 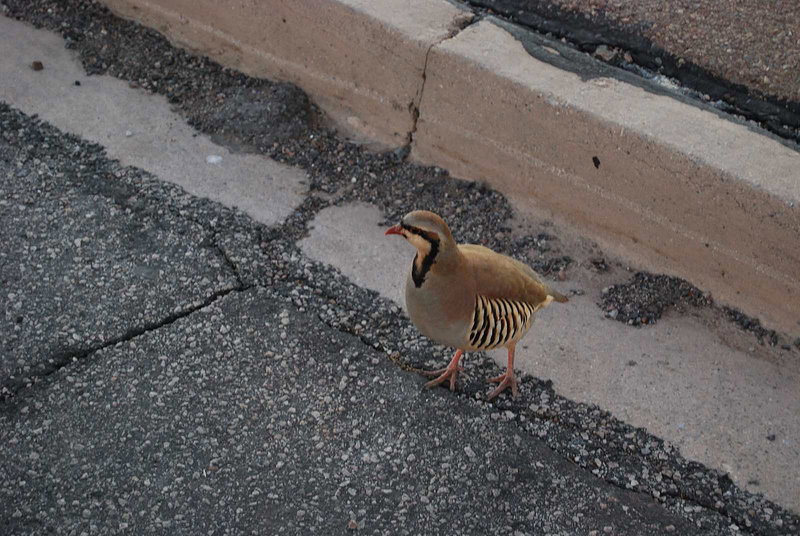 Only a few centimeters in length, they have the unique ability to withstand harsh conditions, e.g. 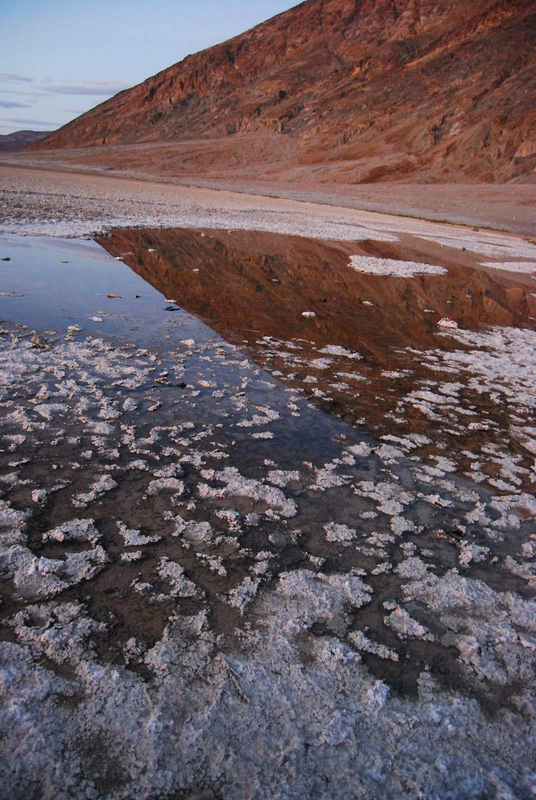 above ocean salinity, hot water and water at freezing point. 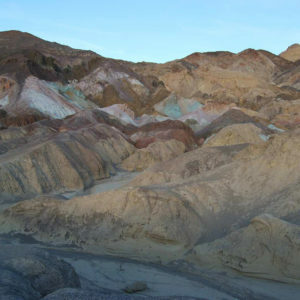 We joined a park ranger talk, which covered the history of Harmony Borax Works at Furnace Creek Springs. 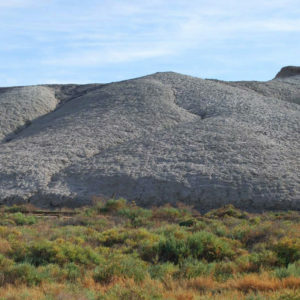 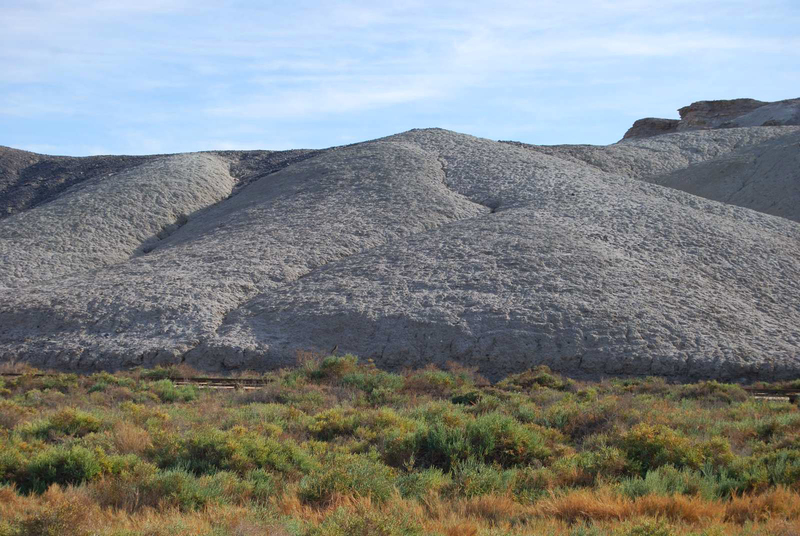 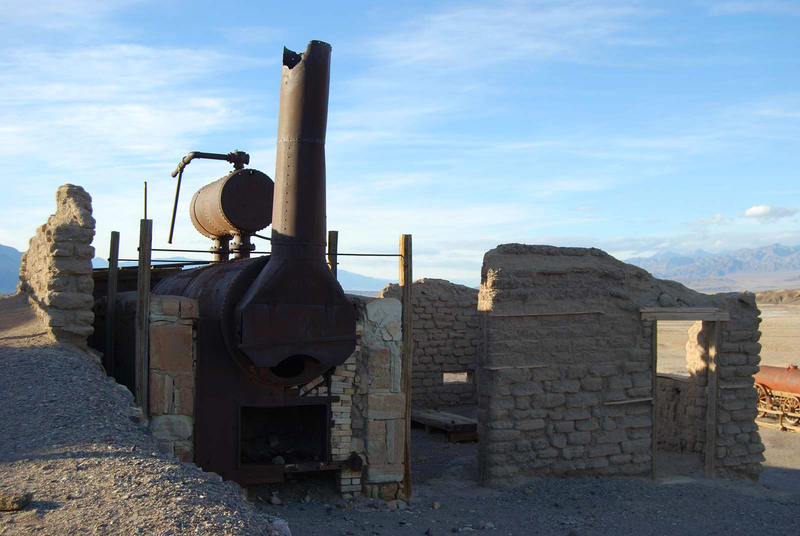 Learn about the borax mining business. 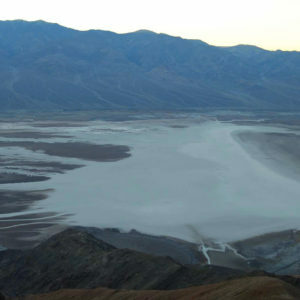 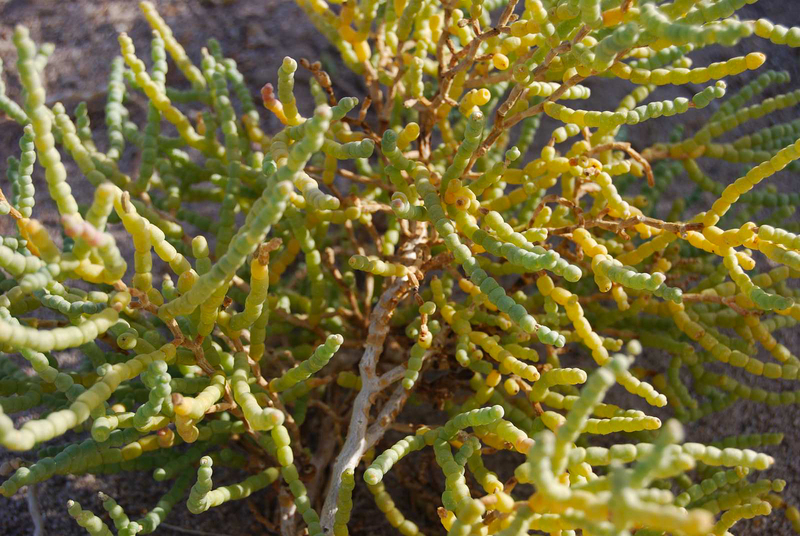 How did people market this newly discovered borax mineral out there in the desert in the 1800s? 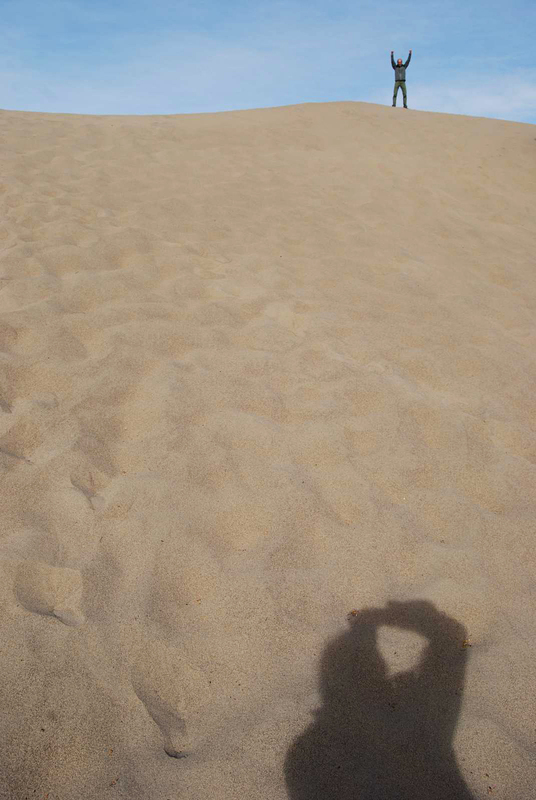 It’s quite fascinating. 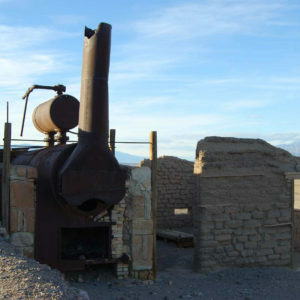 Borax was used for multiple purposes, especially as a soap. 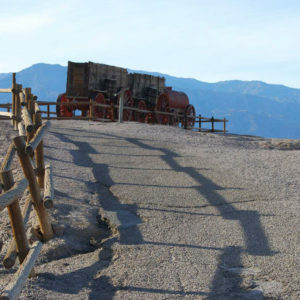 They used mules and wagons. 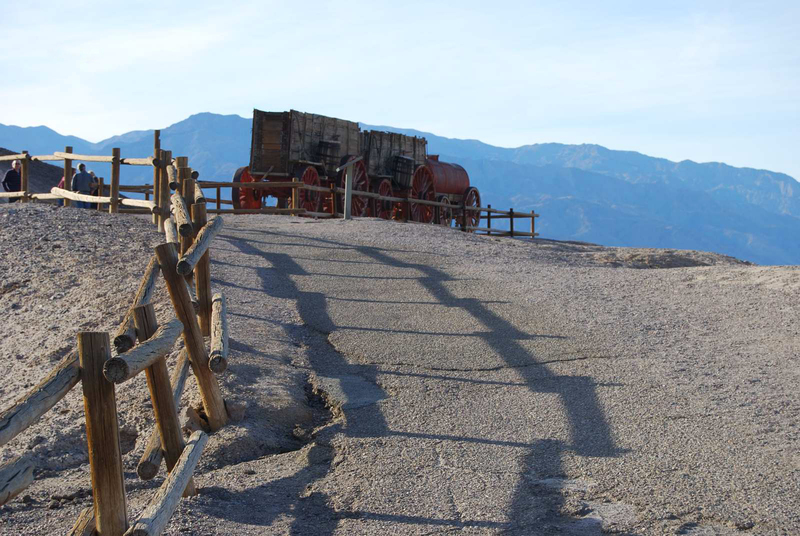 Their marketing brand was called, “20 Mule Team Borax” which can be seen in their advertisements. 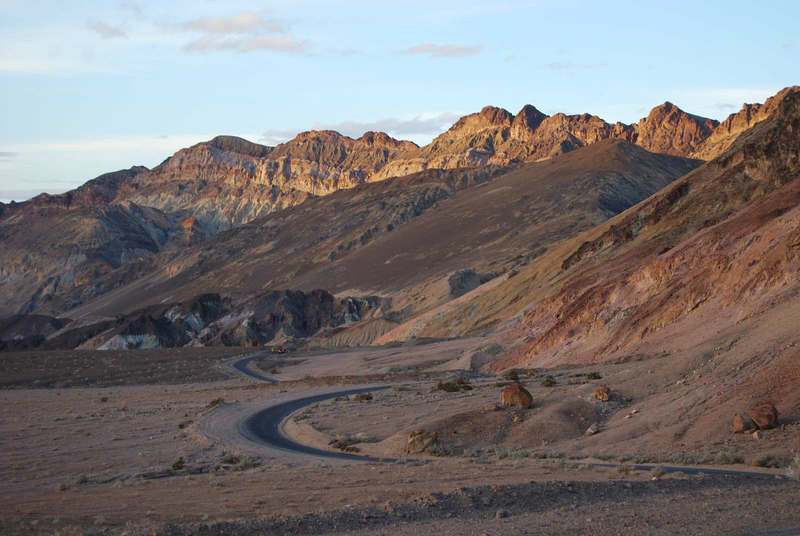 The Artist’s Drive & Palette not only serves as the perfect backdrop for a photoshoot, but also as evidence of the national park’s most explosive volcanic periods, hence the variety of colors. 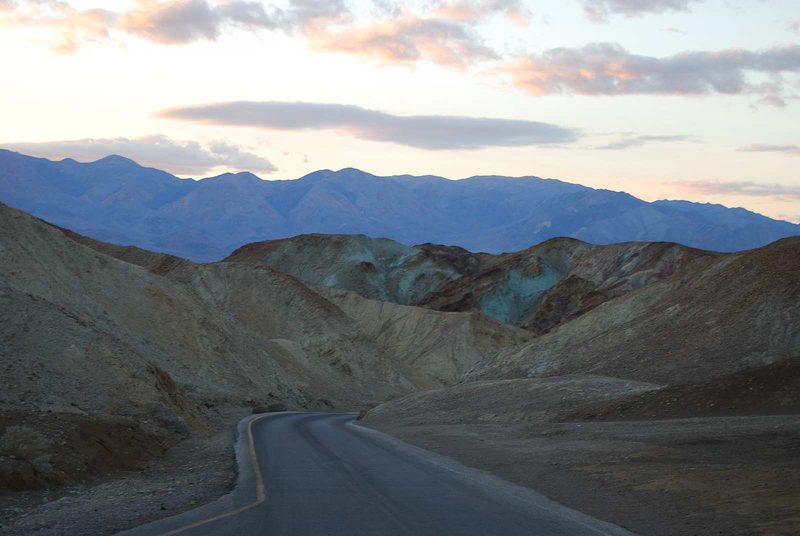 Enjoy the twists and turns of your drive. 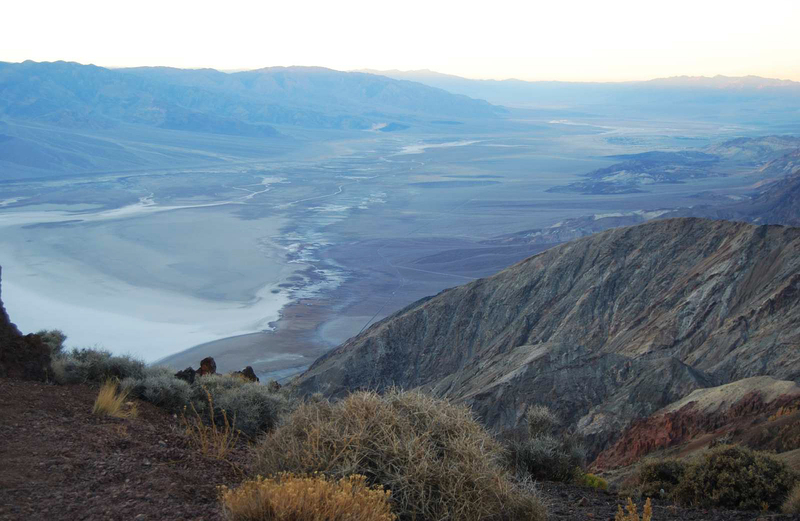 As we descended the stairs from the parking lot to Badwater Basin, the lowest point in North America, we were captivated by the transcendental panoramic view before us. 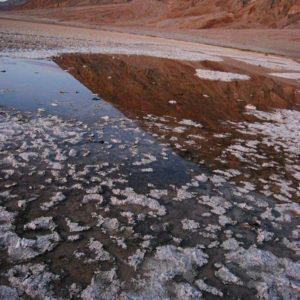 Pink and purple hues from the sunset were mirrored in shallow pools, framed by snowflake-like salt crystals. 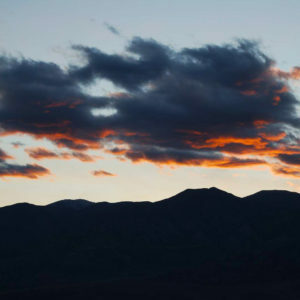 Majestic mountains were sealed against the horizon and knelt below a cloud-filled sky. 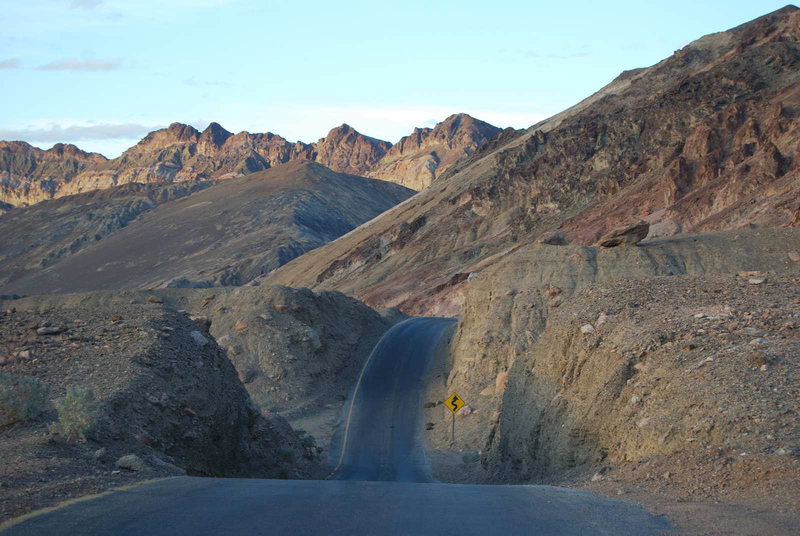 This narrow gorge reminded us of the Grand Canyon National Park, with the steep rocky walls. 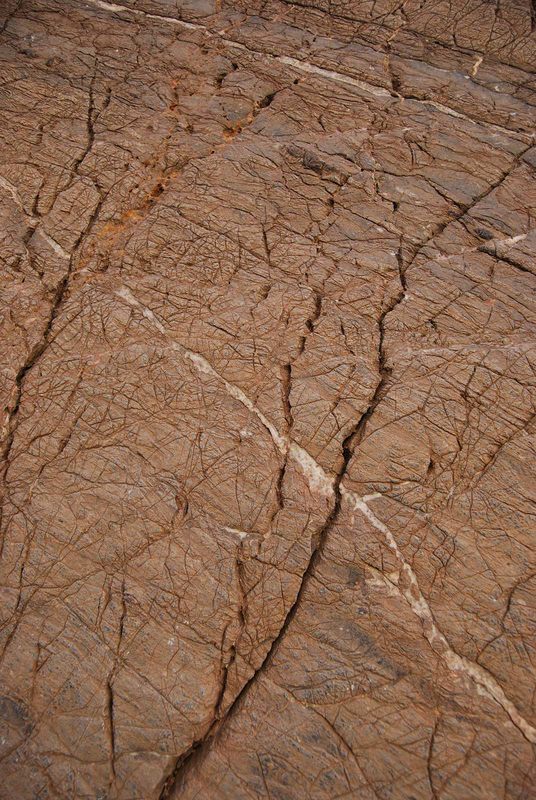 What I found most appealing was the texture and cracks in the stones, which appeared a bit like elephant skin. 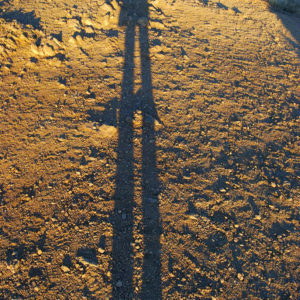 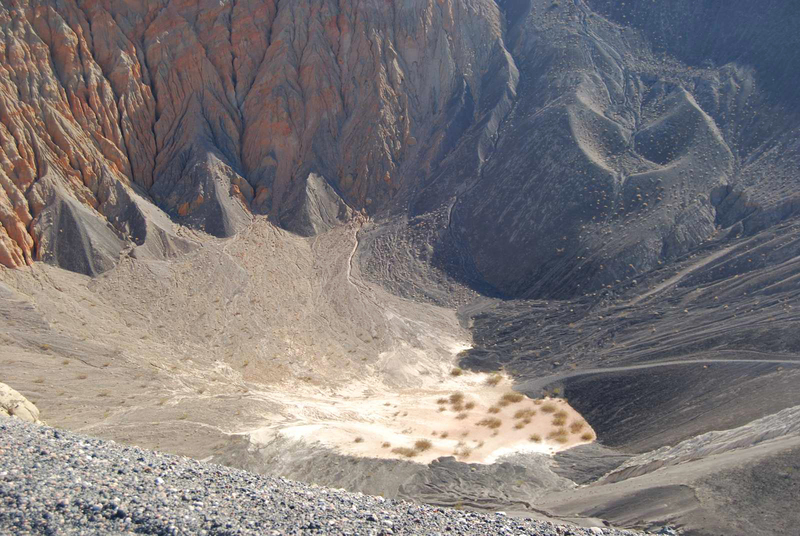 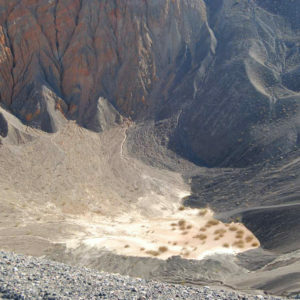 It’s best to wear hiking shoes when walking through the sandy trail in Ubehebe Crater. 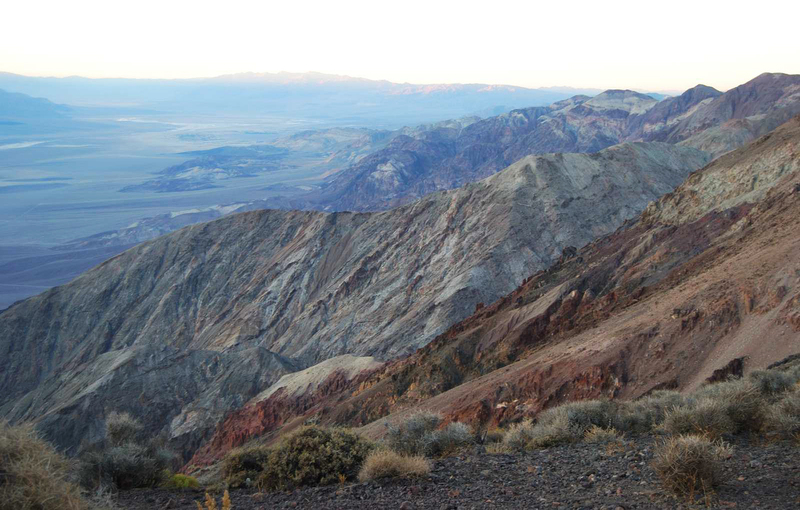 The views here are spectacular whichever angle you look. 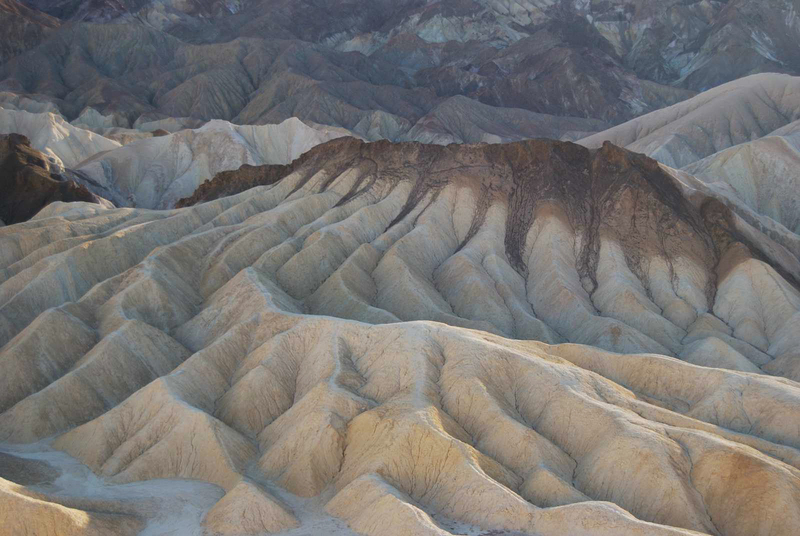 Mountains and valleys are all around. 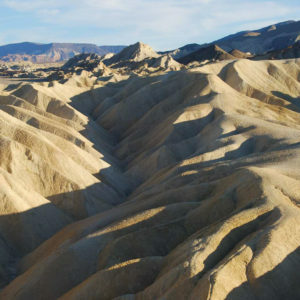 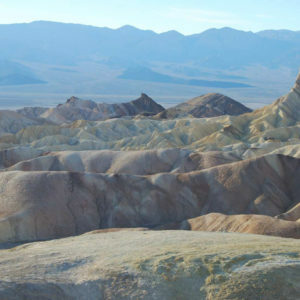 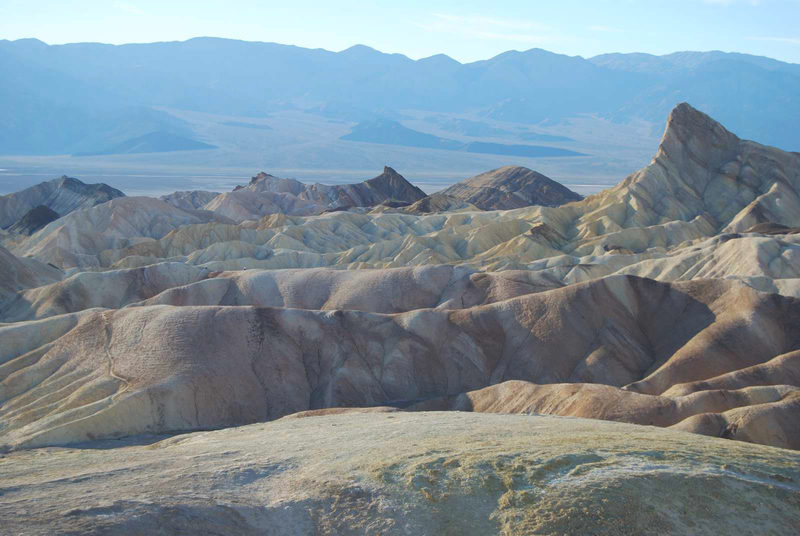 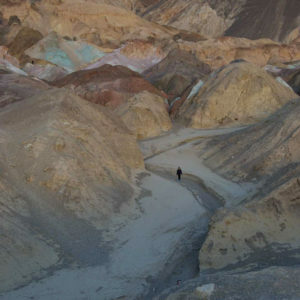 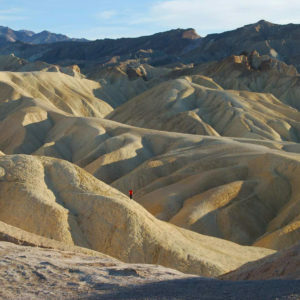 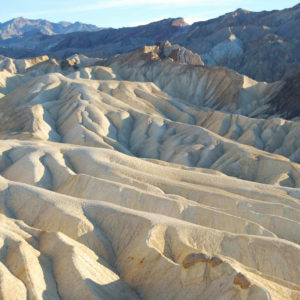 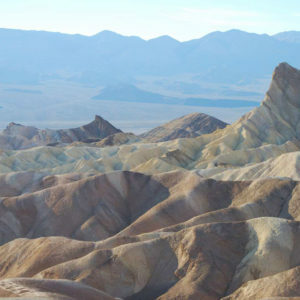 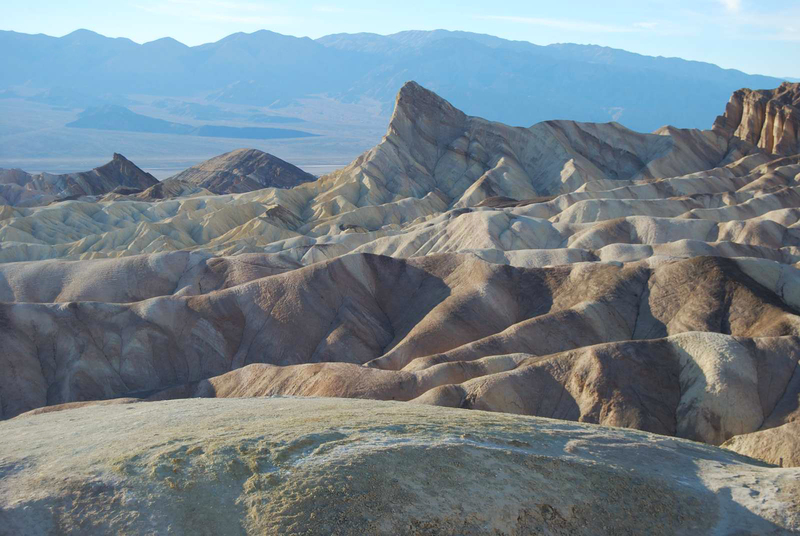 If you have already seen the 1970’s American avant-garde film, Zabriskie Point, directed by Michelangelo Antonioni, then you are aware of the allure of this location. 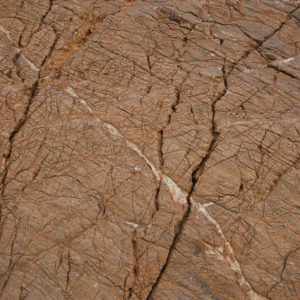 The rock patterns, shades and contours are varied. 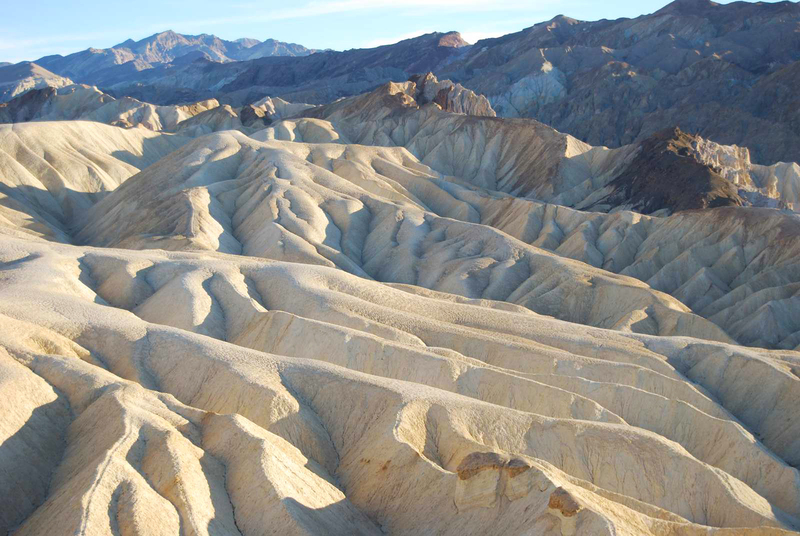 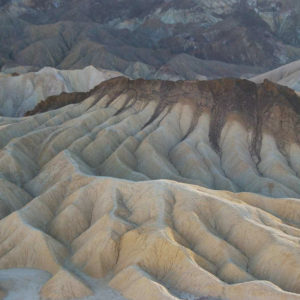 Zabriskie Point almost seems organic and alive. 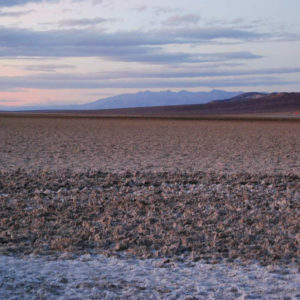 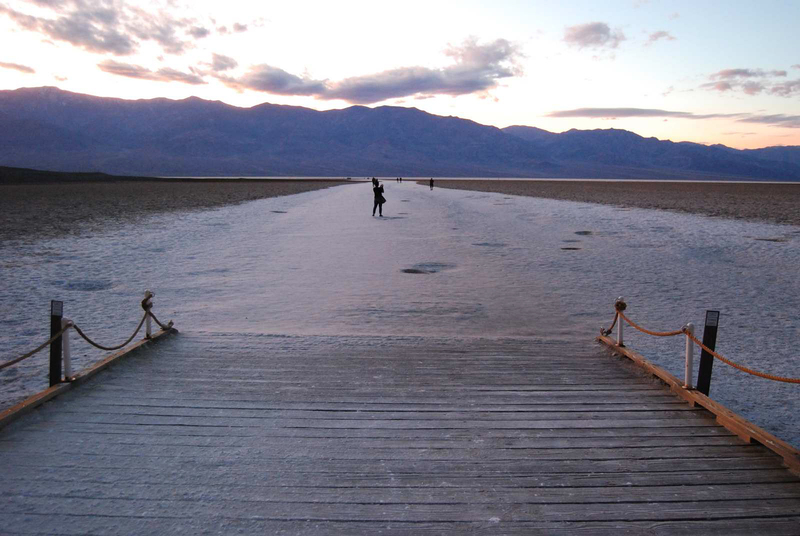 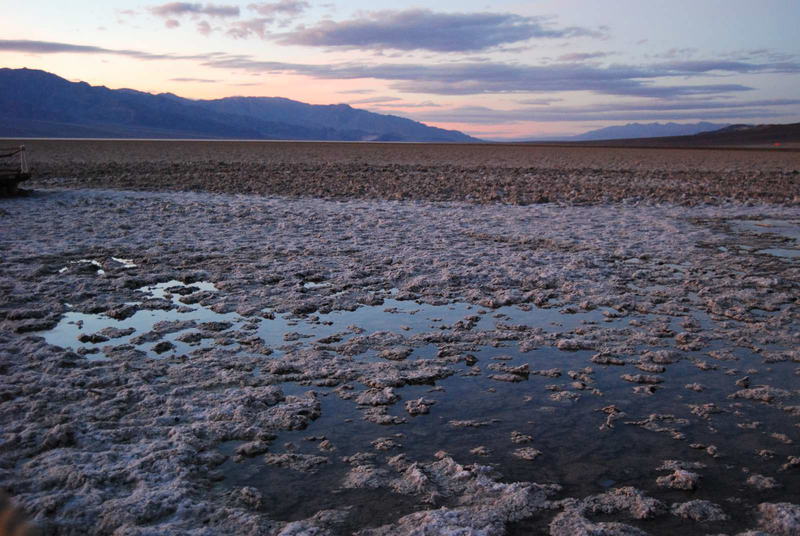 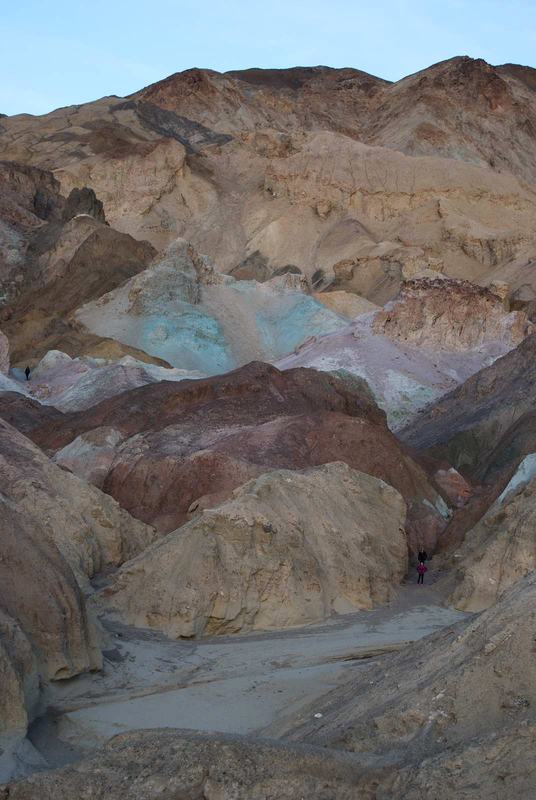 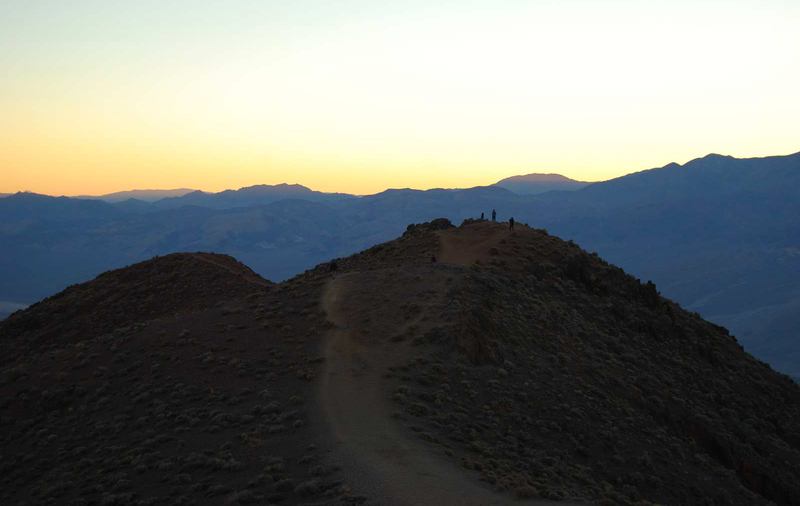 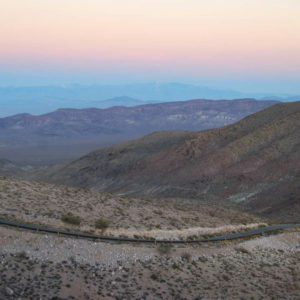 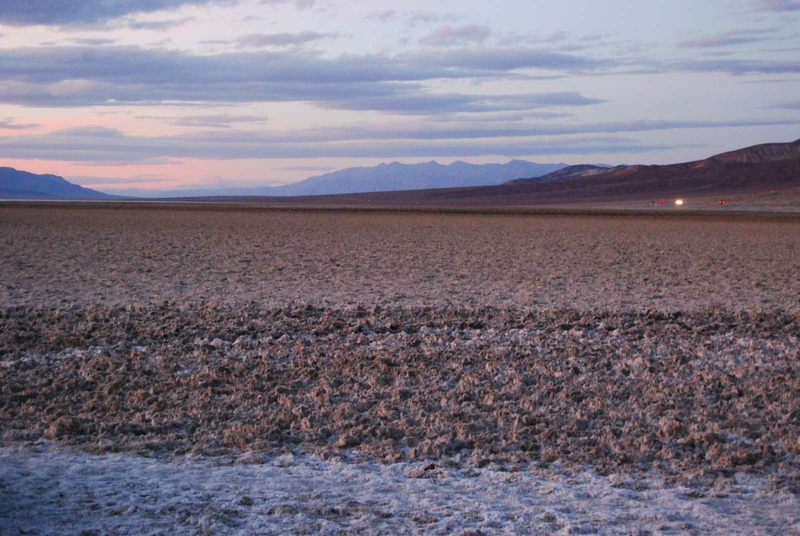 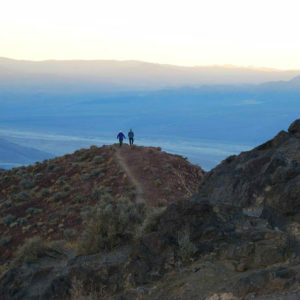 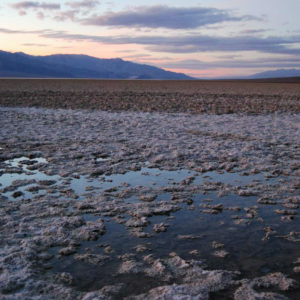 After already seeing sunsets at Artist’s Palette and Badwater Basin, we craved to see more. 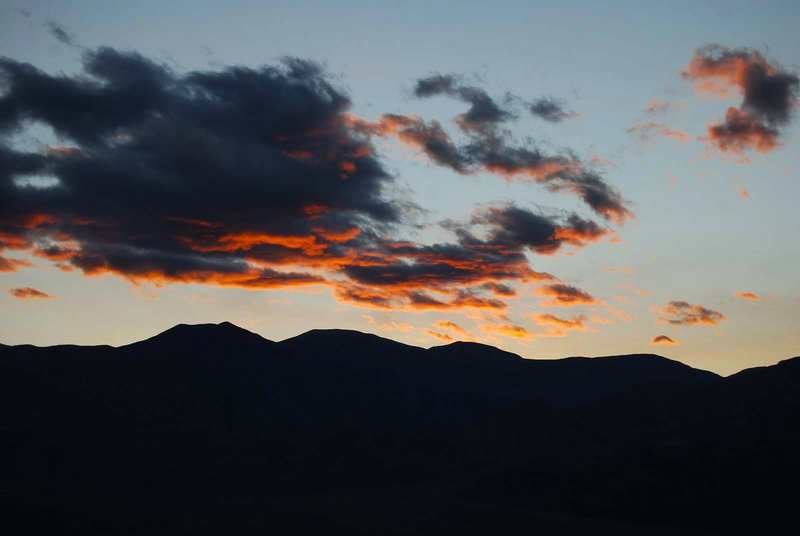 Once again, we were pleased by the sunset at Dante’s View. 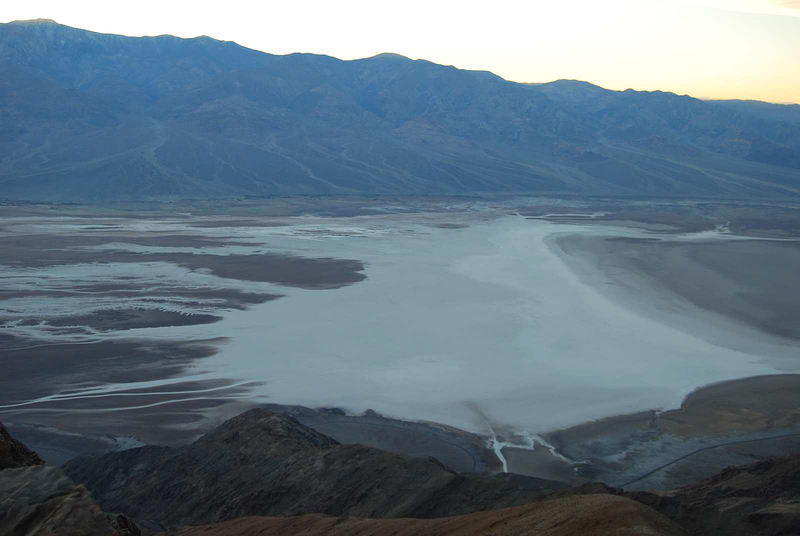 From this overlook, we could finally see the expanse of Badwater Basin. 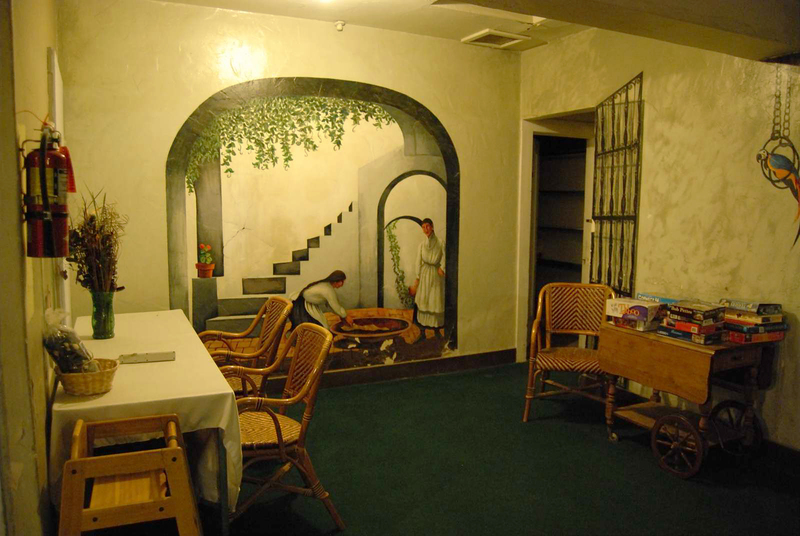 I’ll let the photos speak for themselves. 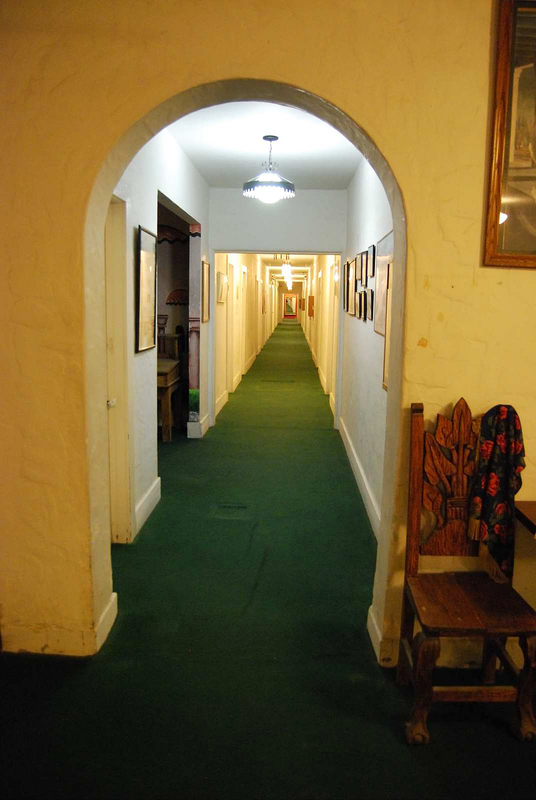 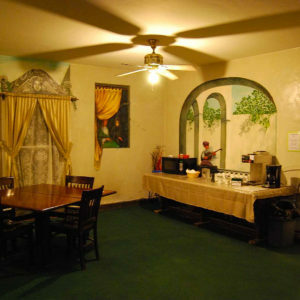 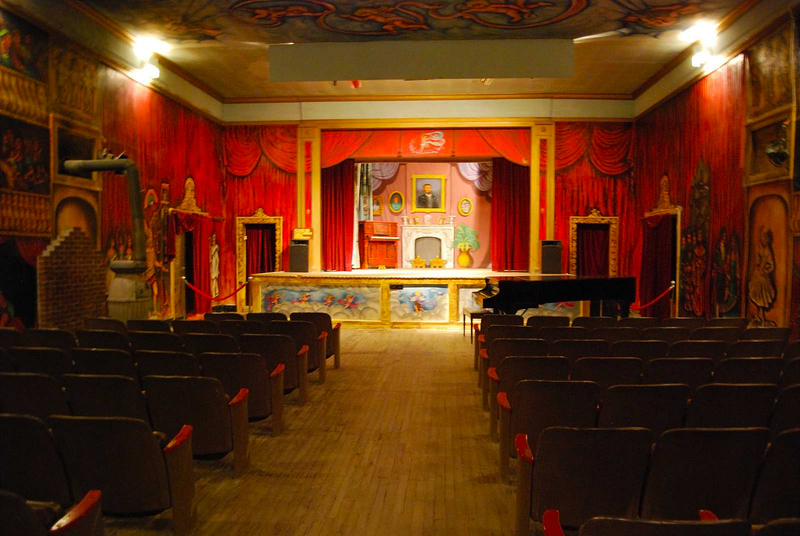 There’s so much to say about the Amargosa Opera House. 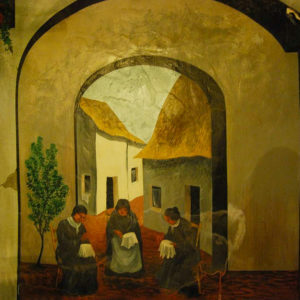 It simply is a masterpiece created and owned by an inspirational artist, Marta Becket. 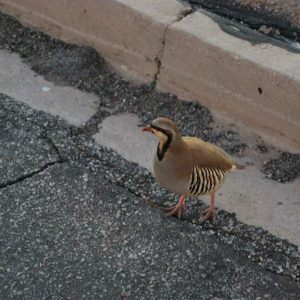 We nearly missed our chance to see this rare gem as it was a bit off course. 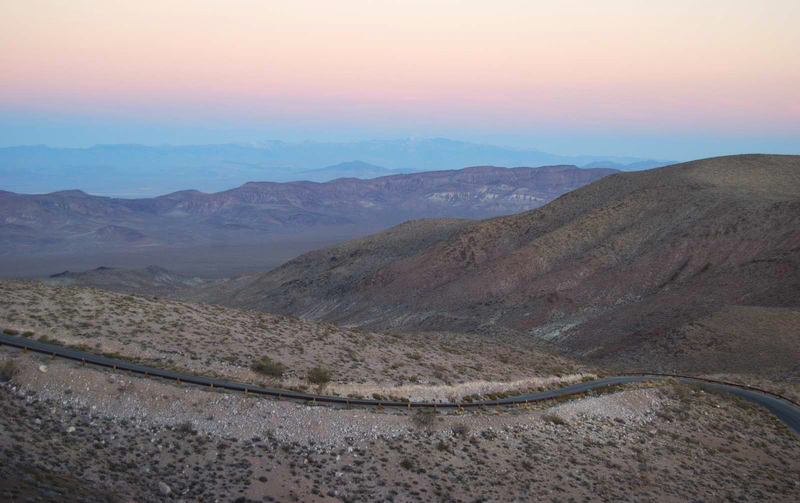 We were en route for our long drive to Joshua Tree National Park as it was already getting dark and we knew the roads may not be well lit. 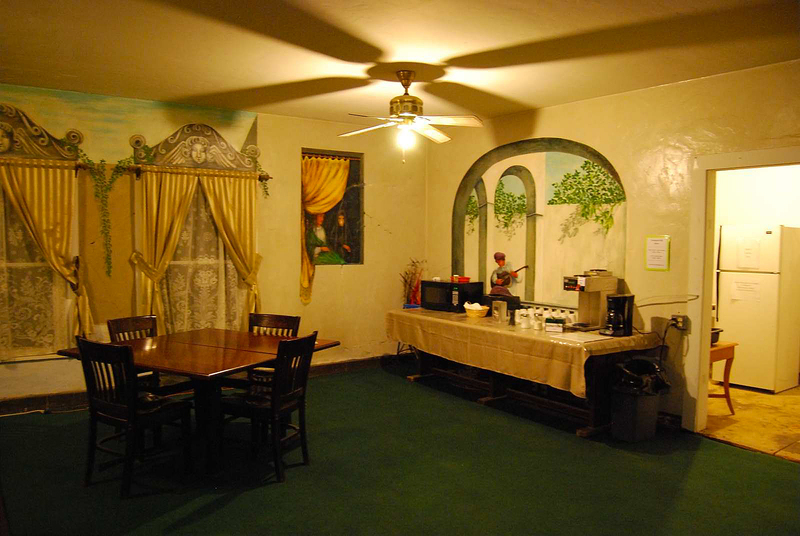 Needless to say, we were deeply gratified that we did go. 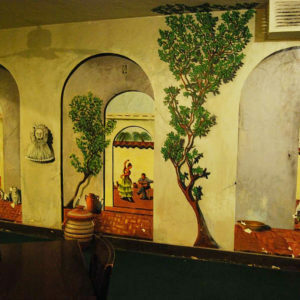 By merely a stroke of luck and spontaneity, we headed out to inspect this place and discovered that it was even more interesting than what we read on a travel guide. 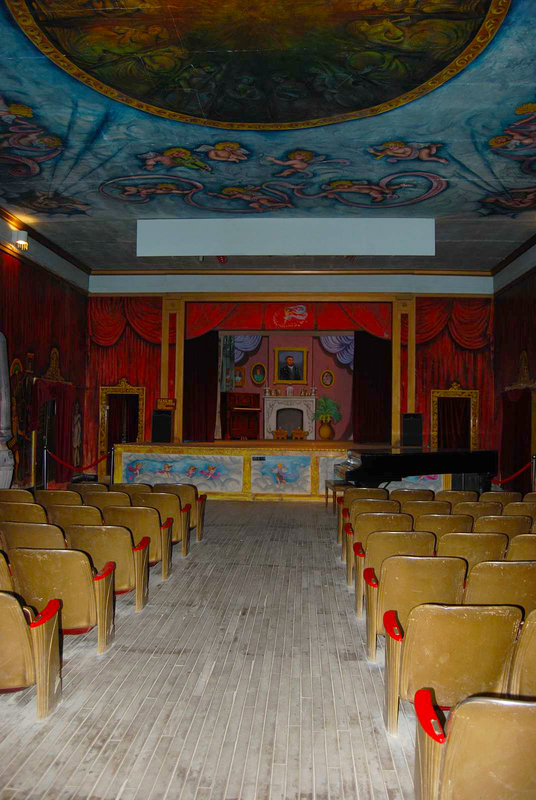 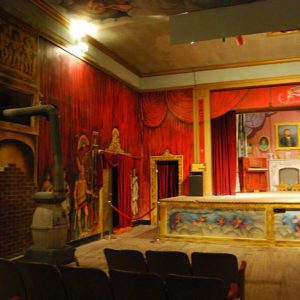 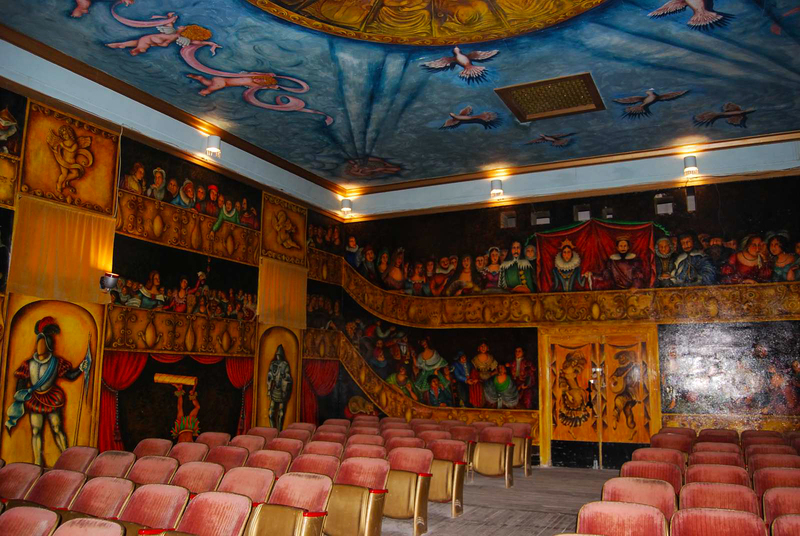 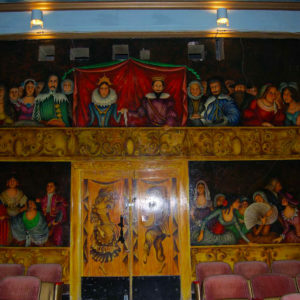 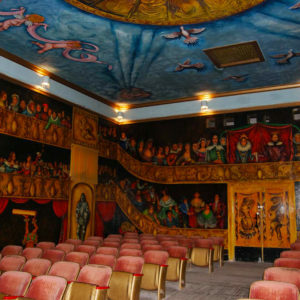 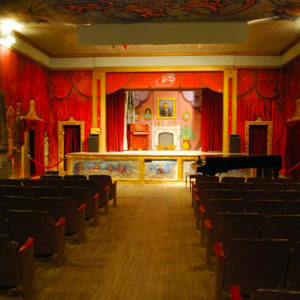 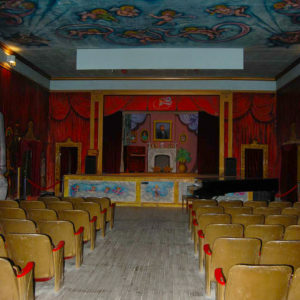 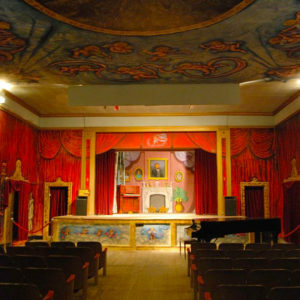 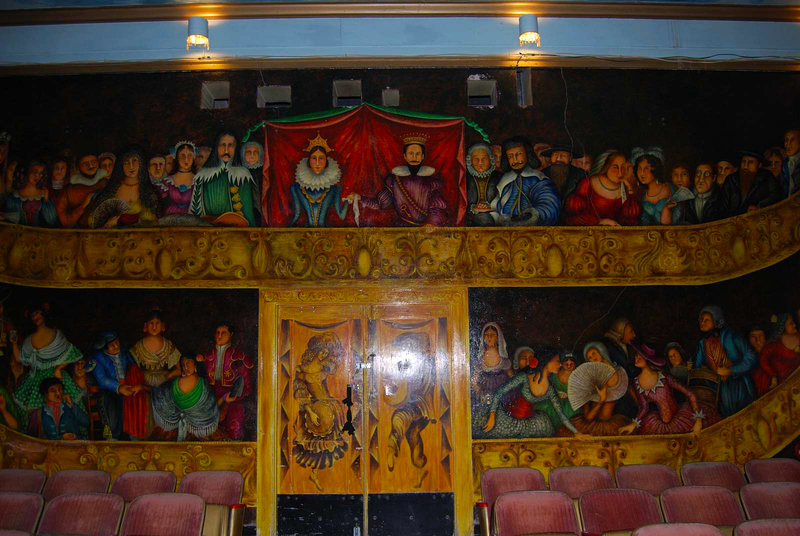 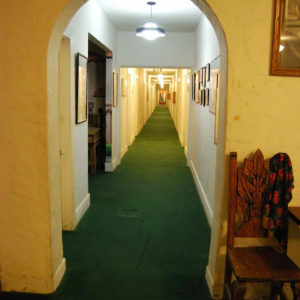 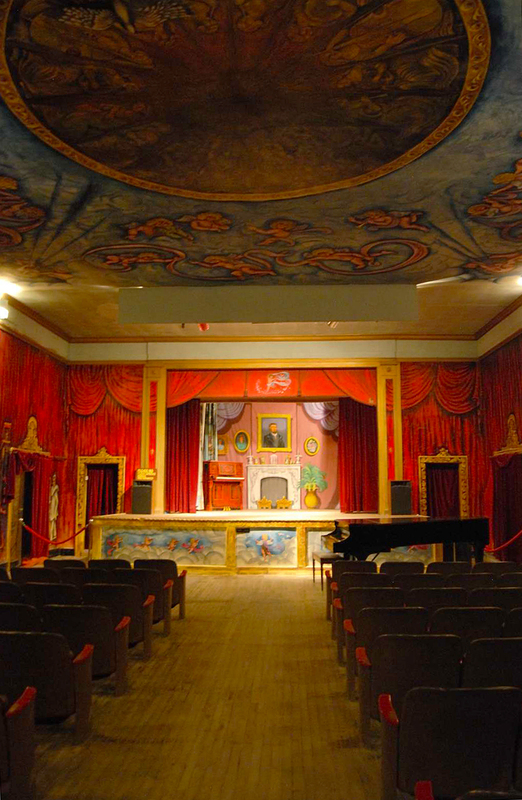 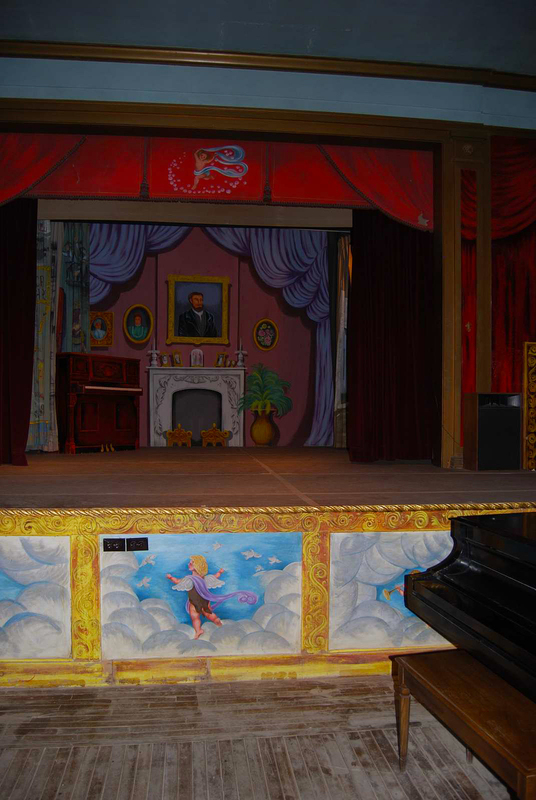 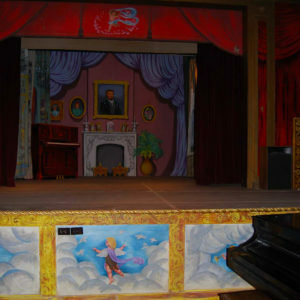 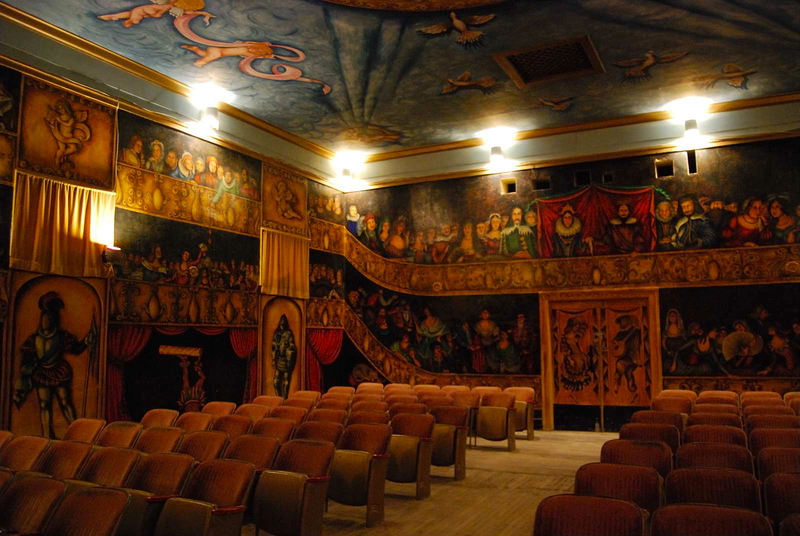 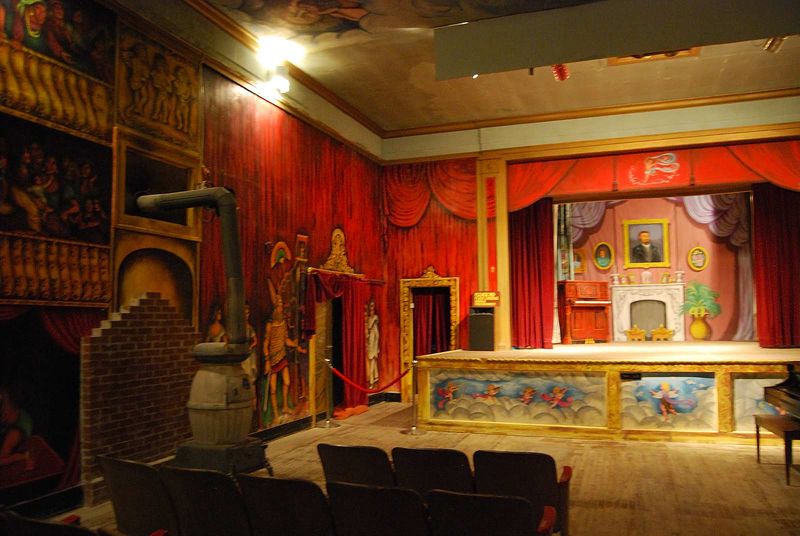 The Amargosa Opera House was impressive solely because Marta Becket was the mastermind of it all. 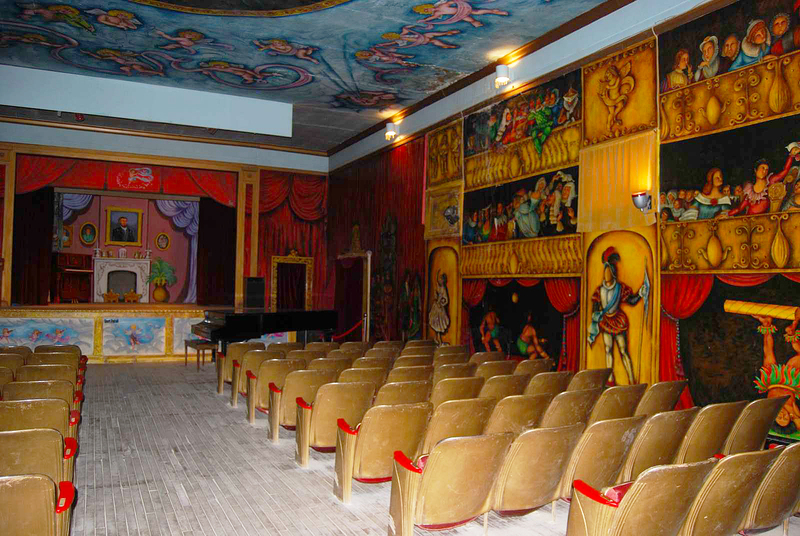 At age 92, Marta continues living out her dream in this world she built for herself and her audience. 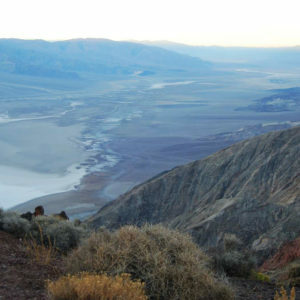 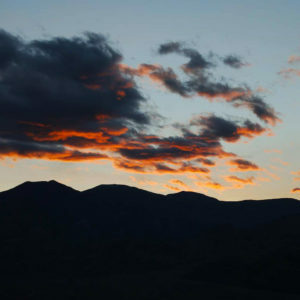 Since the time of her spiritual rebirth here at Death Valley Junction when she was in her early 40s, she found her true calling and lived her life largely on her own terms. 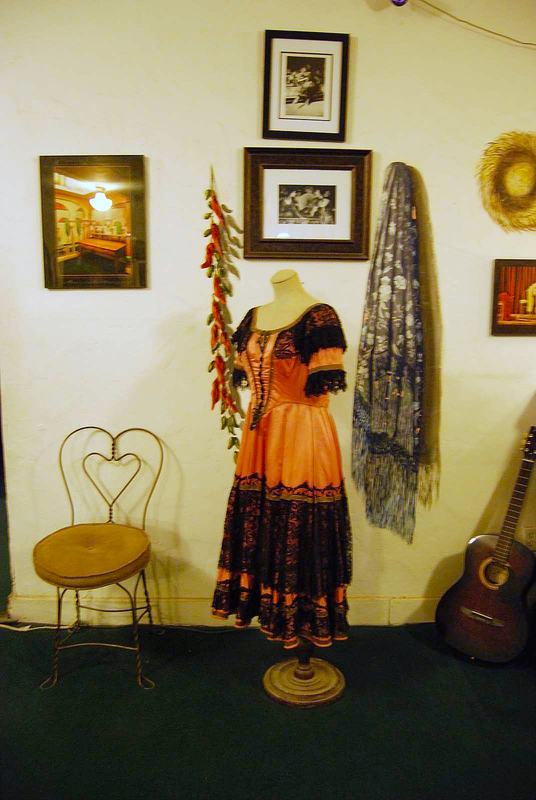 Marta is a jack-of-all-trades, and she’s successful in all her artistic endeavors, whether it is painting, dancing or composing music. 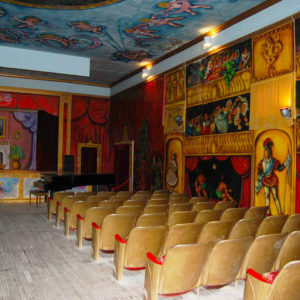 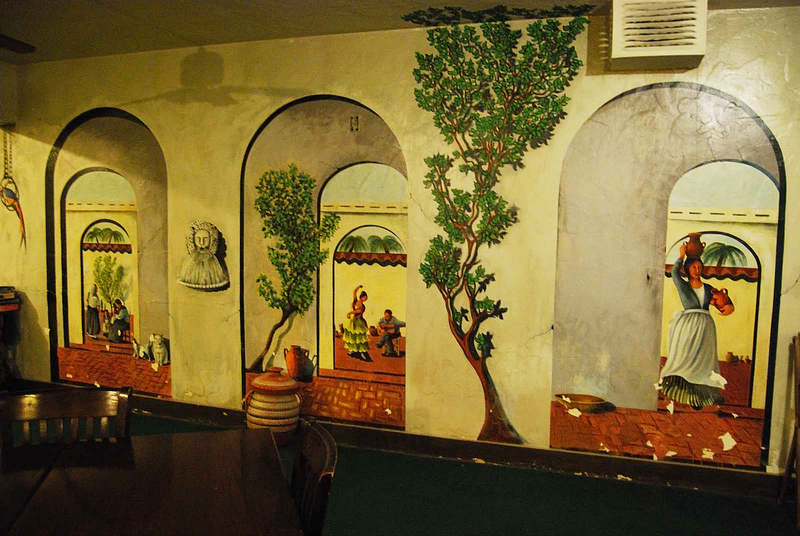 When you enter this opera house, you will be transfixed by her intricately painted murals on the ceiling and walls. 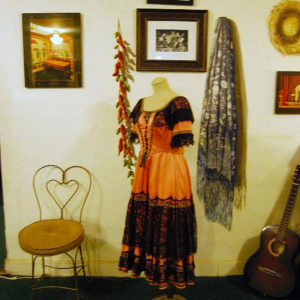 We did not get a chance to meet Marta in person or see her perform during our evening here, but I bought Marta’s autobiography, “To Dance On Sands”. 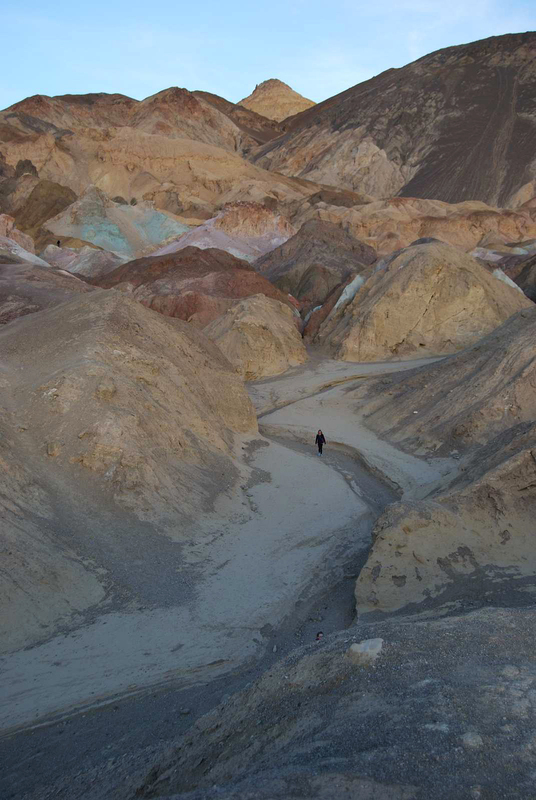 I wanted to spend a few more minutes immersed in this unique place. 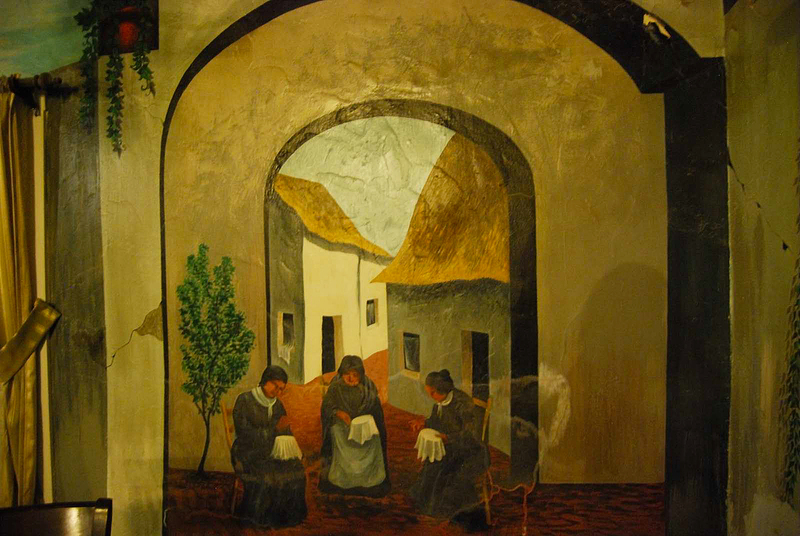 Surrounded by Marta’s creations, I opened her book and read the first few pages. 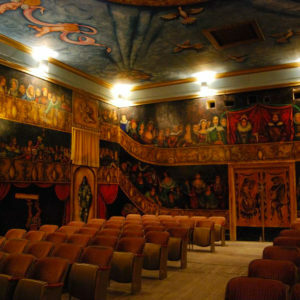 Marta’s words spoke volumes about her character, her free will and state of euphoria in this special place. 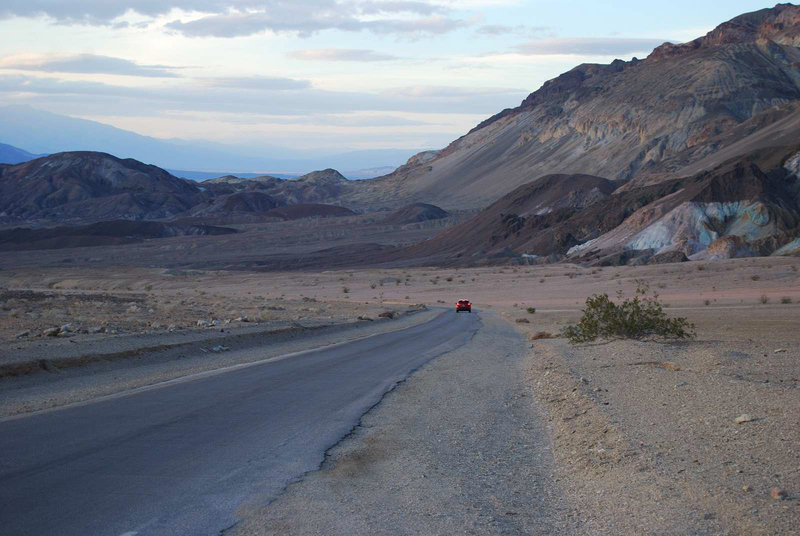 This was a wonderful way to remember the life-giving Death Valley as we headed out from the Junction to continue on our journey.